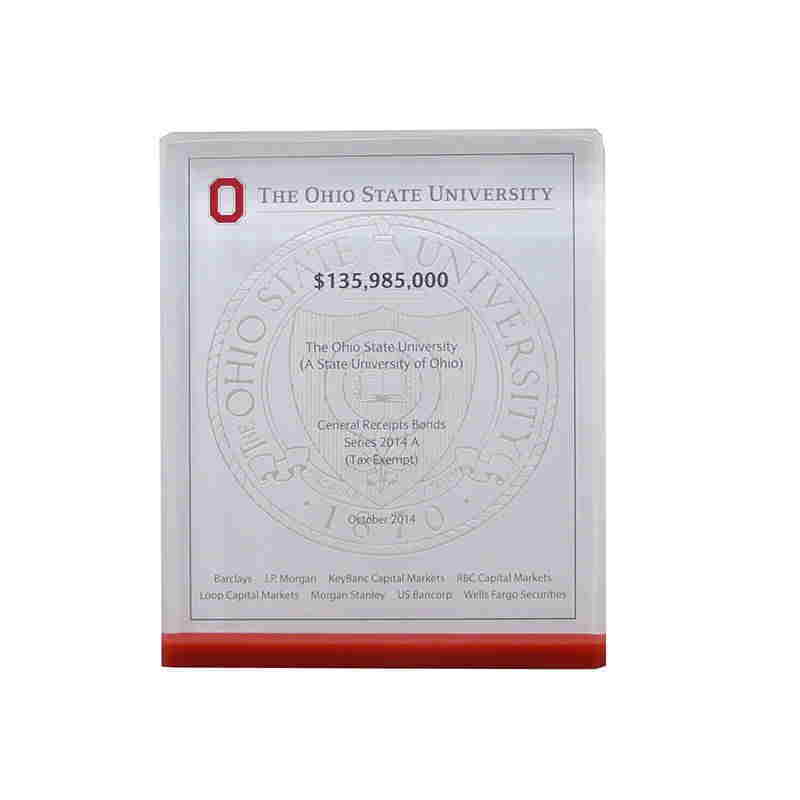 Custom Lucite featuring laser-etched seal of The Ohio State University. 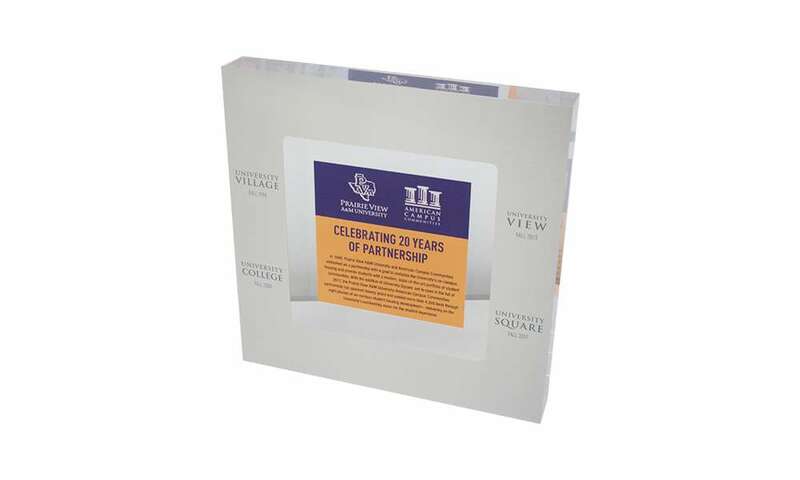 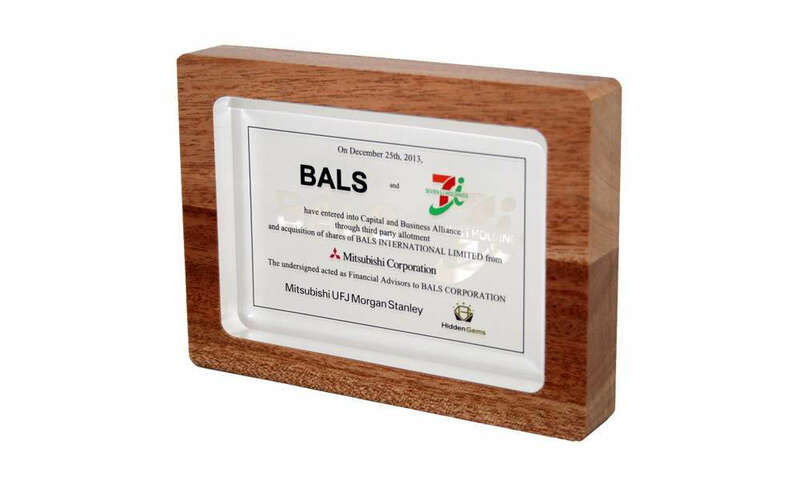 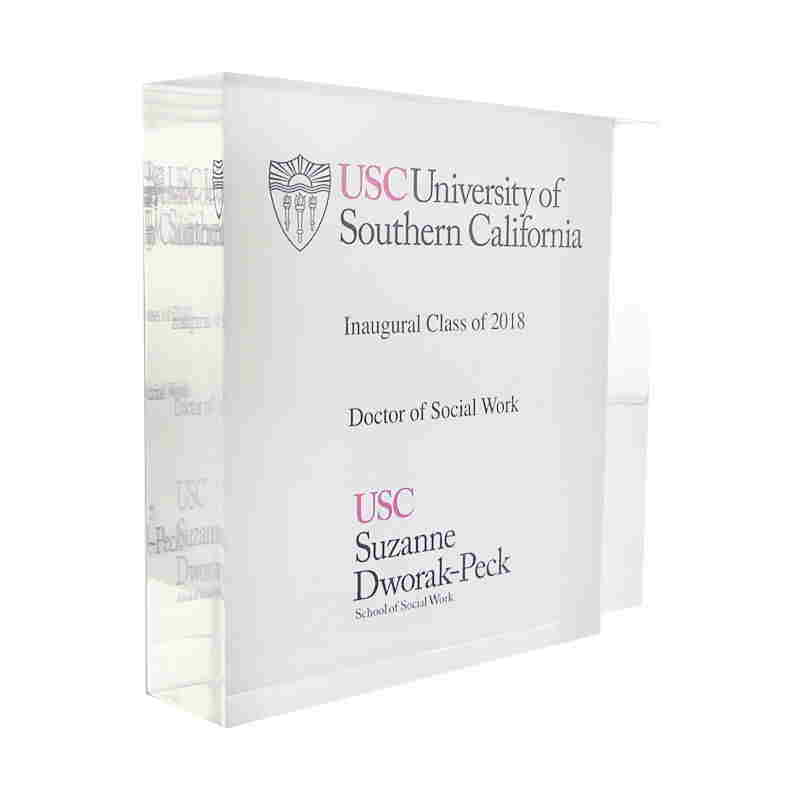 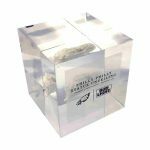 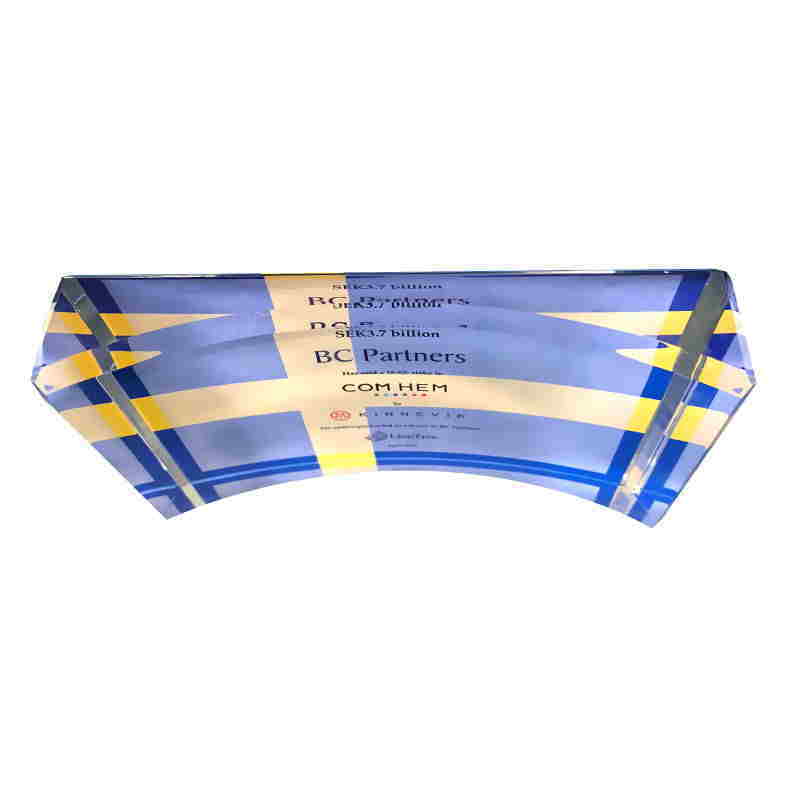 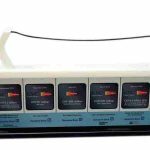 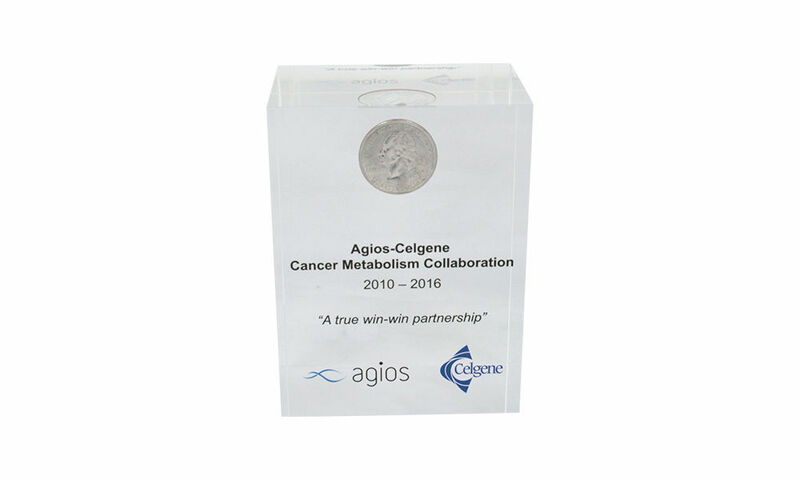 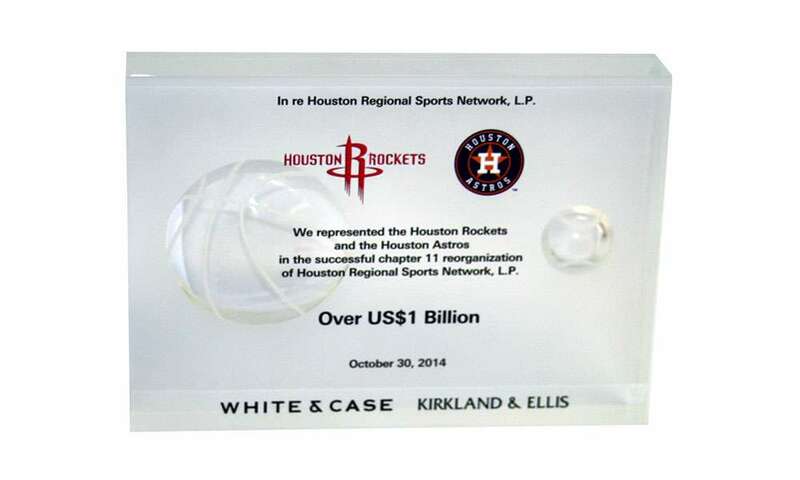 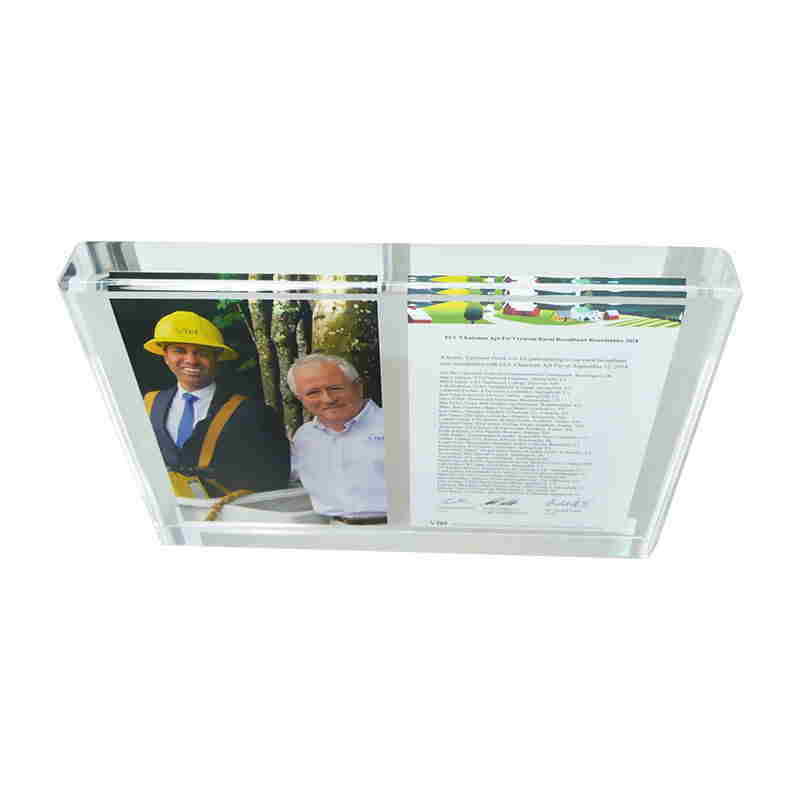 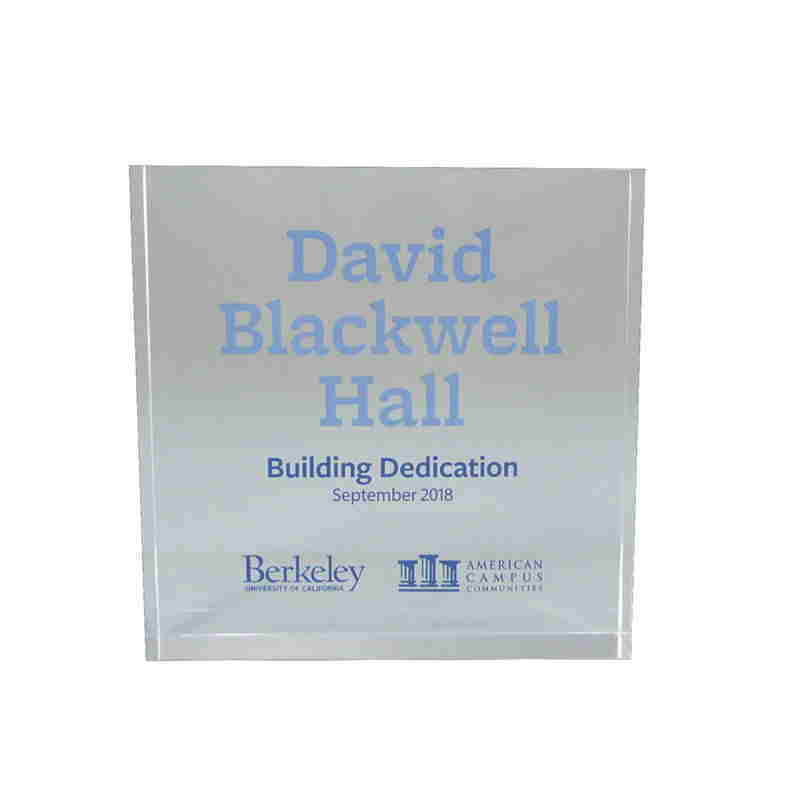 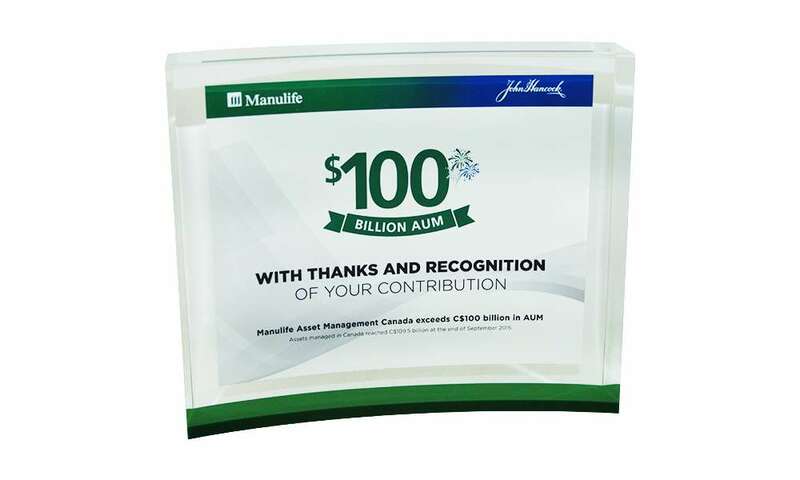 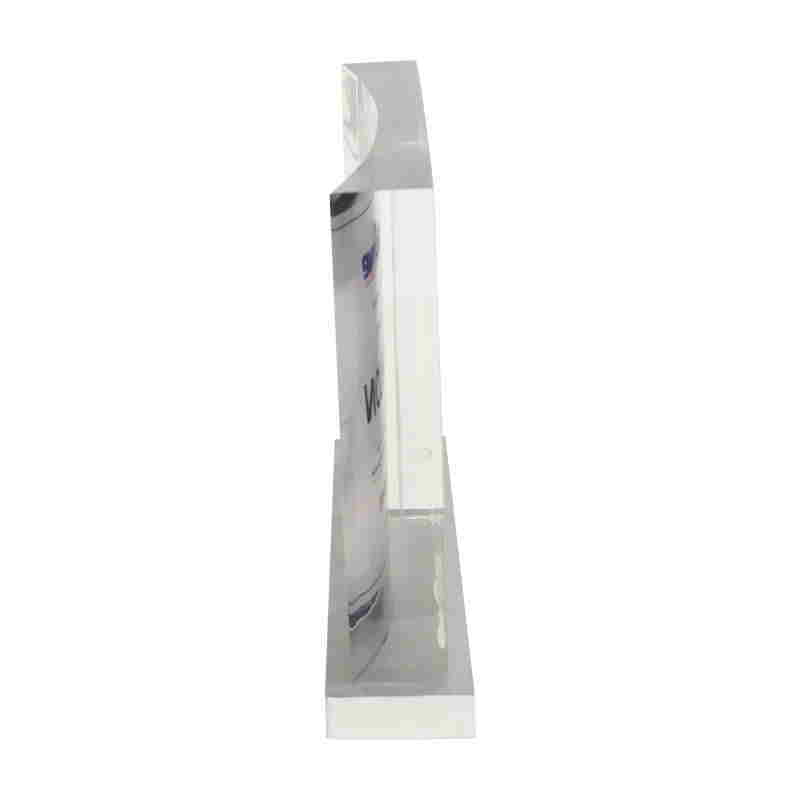 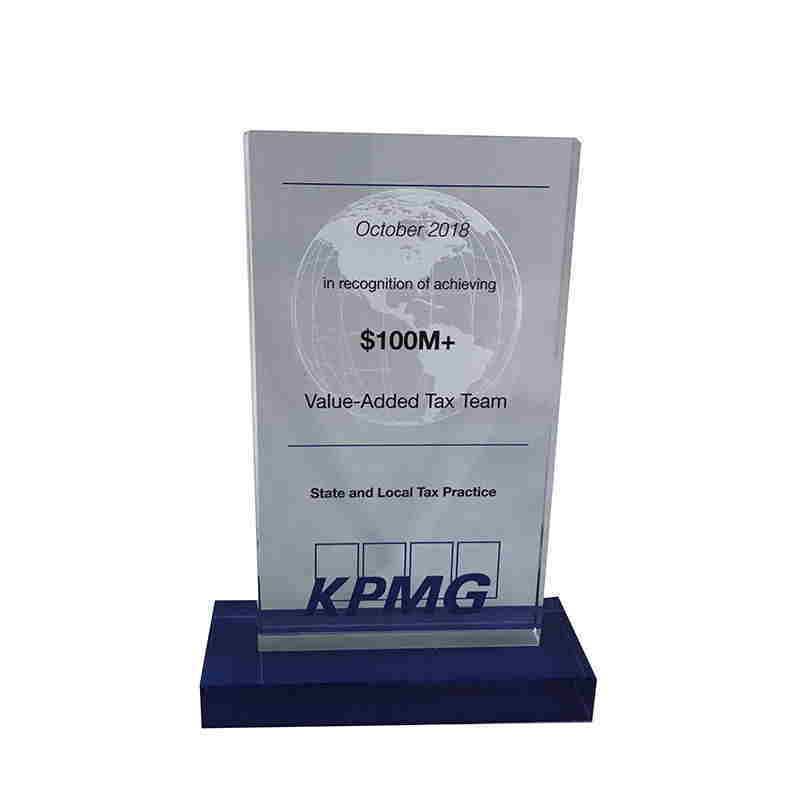 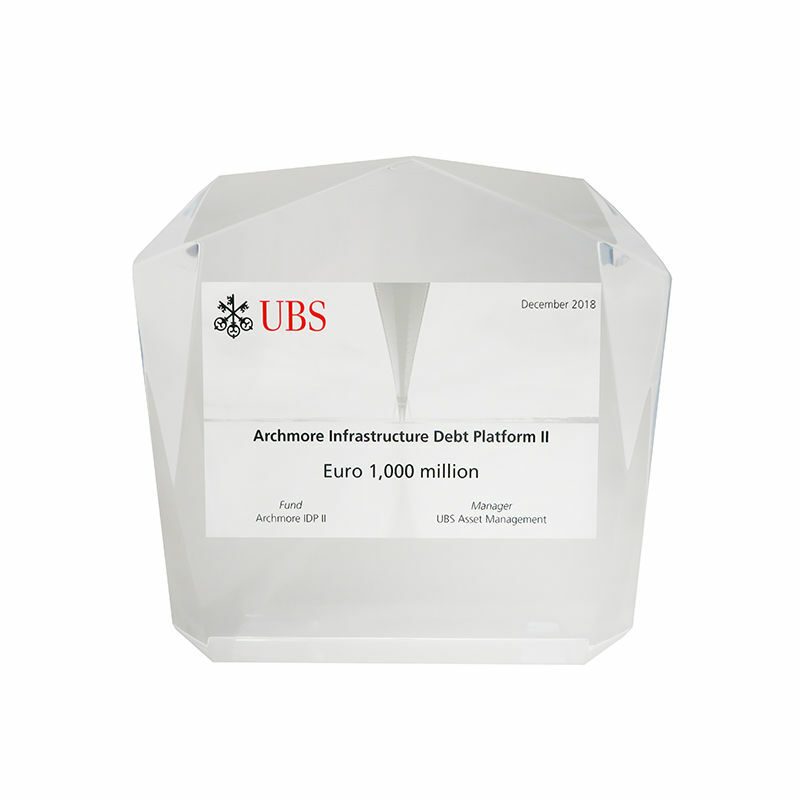 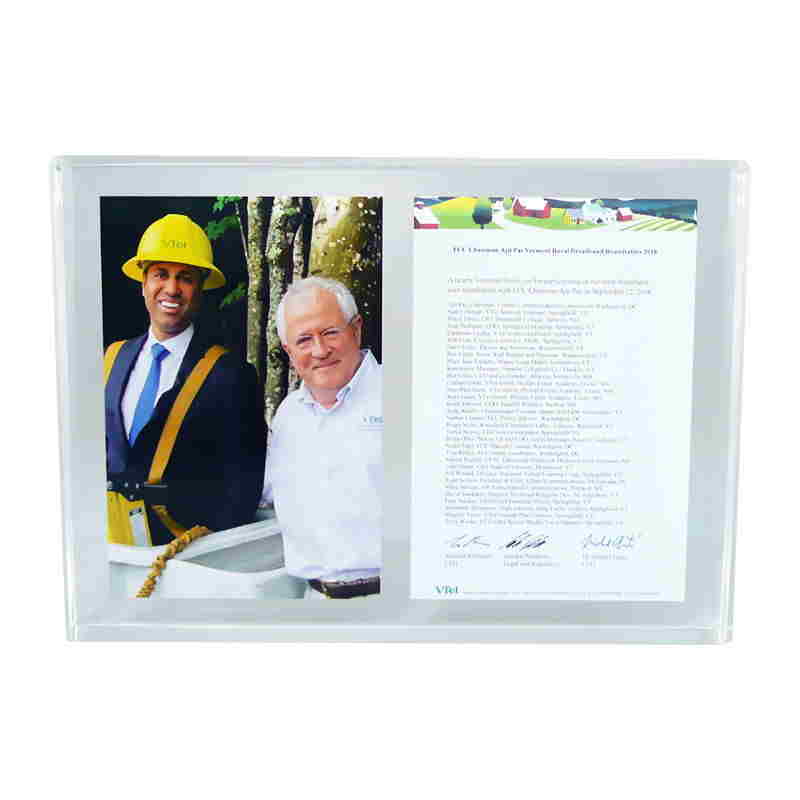 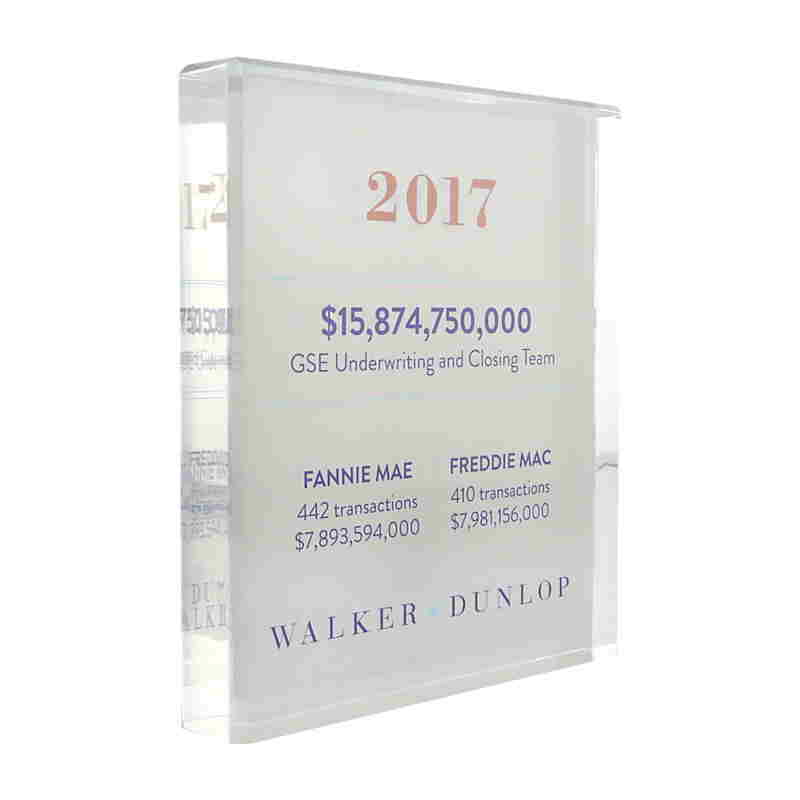 The Lucite commemorates bonds issued by the University and underwritten by Barclays, J.P. Morgan, KeyBanc Capital Markets, RBC Capital Markets, Loop Capital Markets, Morgan Stanley, US Bancorp, and Wells Fargo Securities. 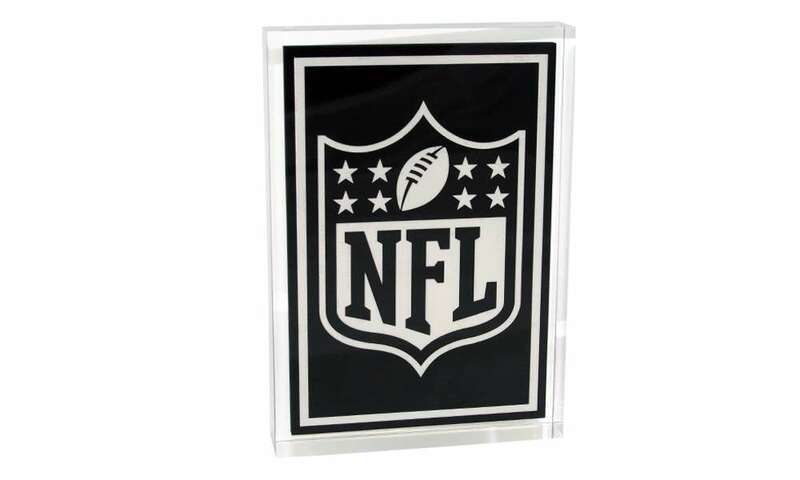 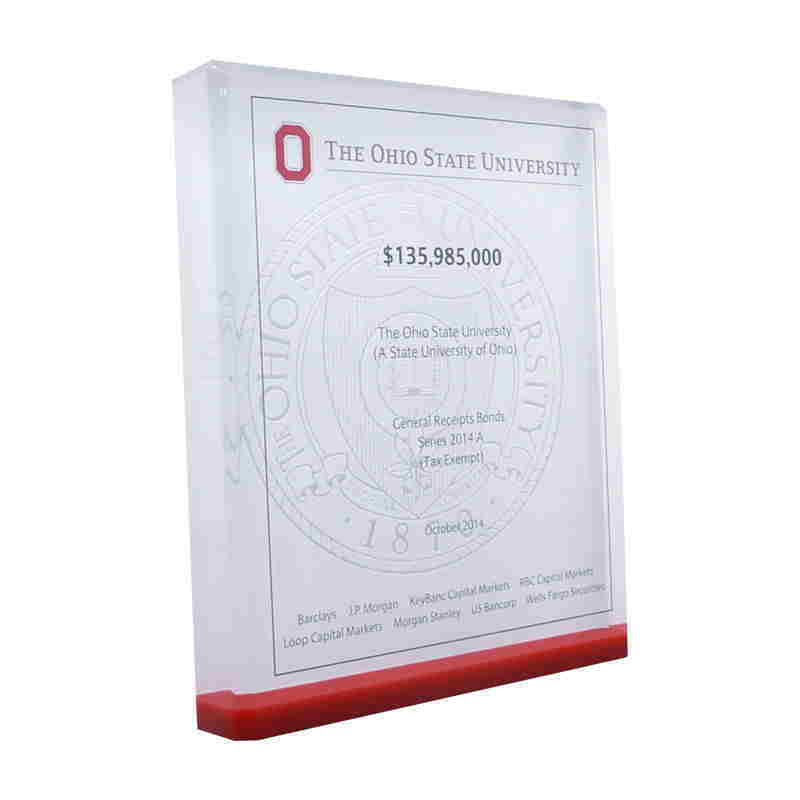 Ohio State University custom Lucite featuring the school's seal laser-etched. 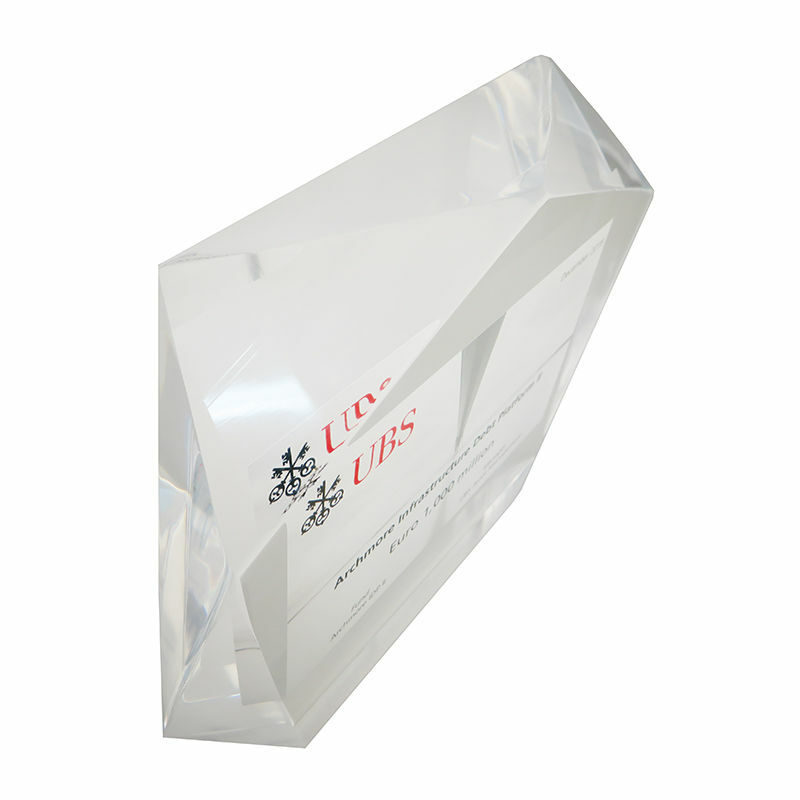 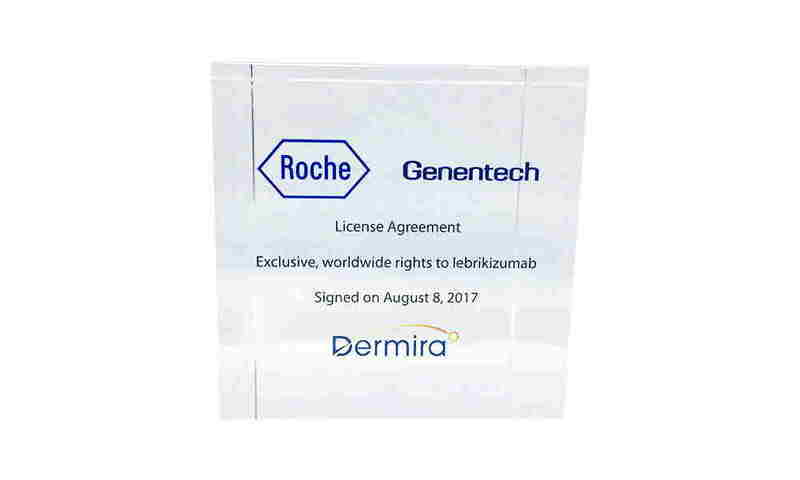 The Lucite recognizes bonds issued by the University and underwritten by Barclays, J.P. Morgan, KeyBanc Capital Markets, RBC Capital Markets, Loop Capital Markets, Morgan Stanley, US Bancorp, and Wells Fargo Securities. 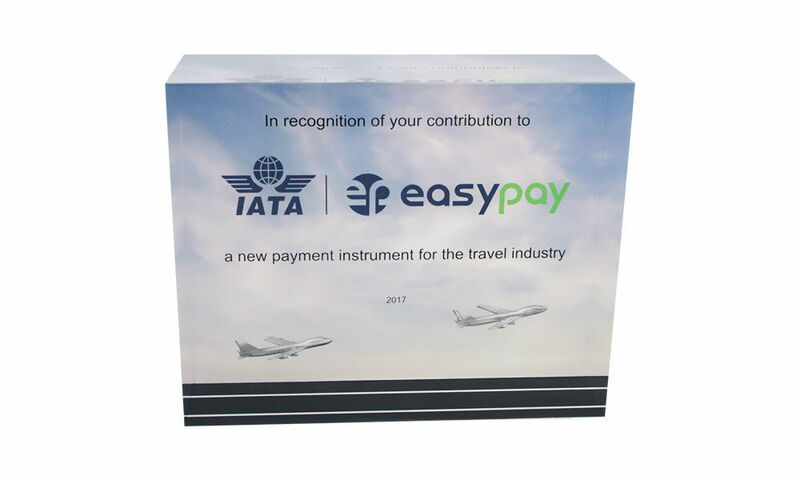 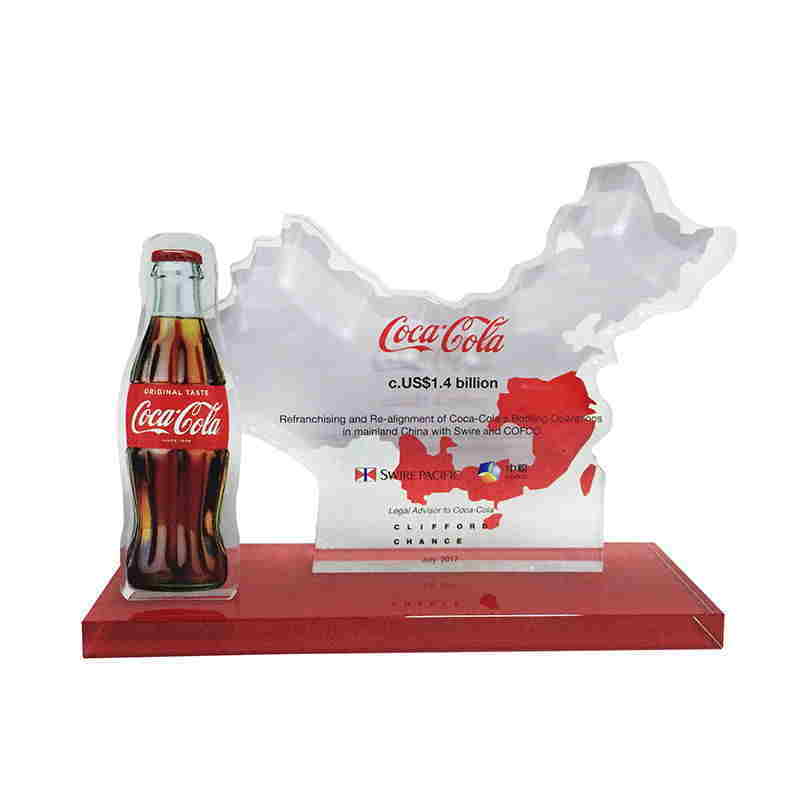 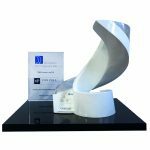 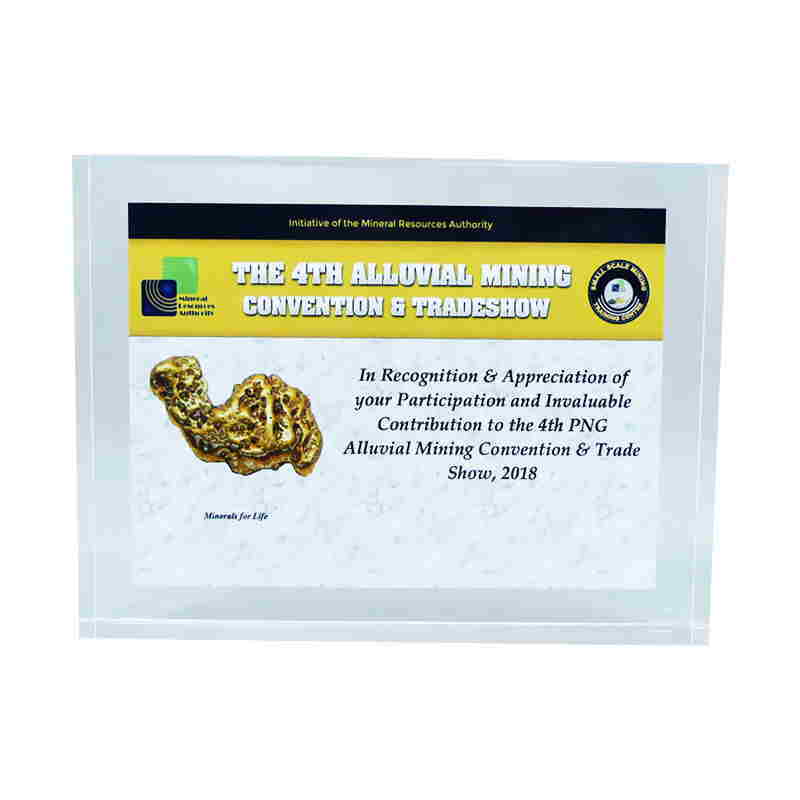 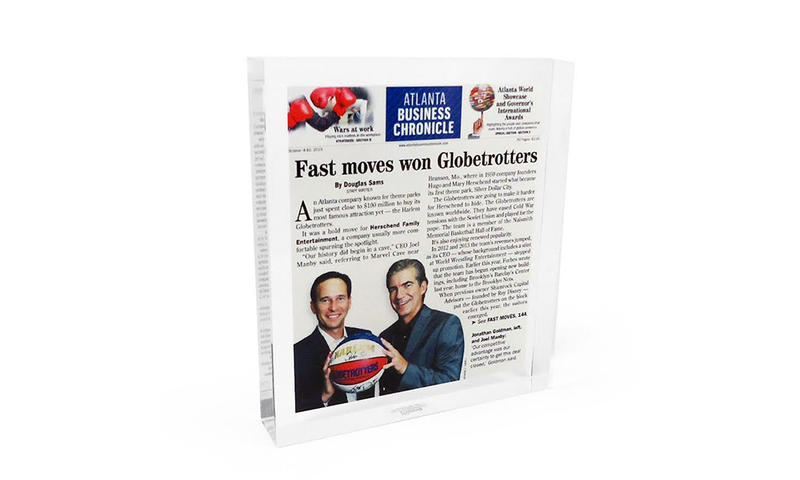 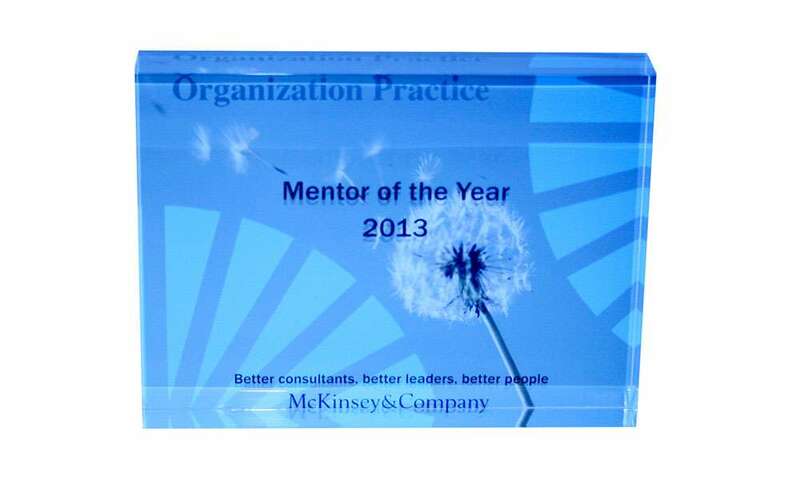 Custom acrylic Mentor of The Year award presented by global management consulting firm McKinsey & Company. 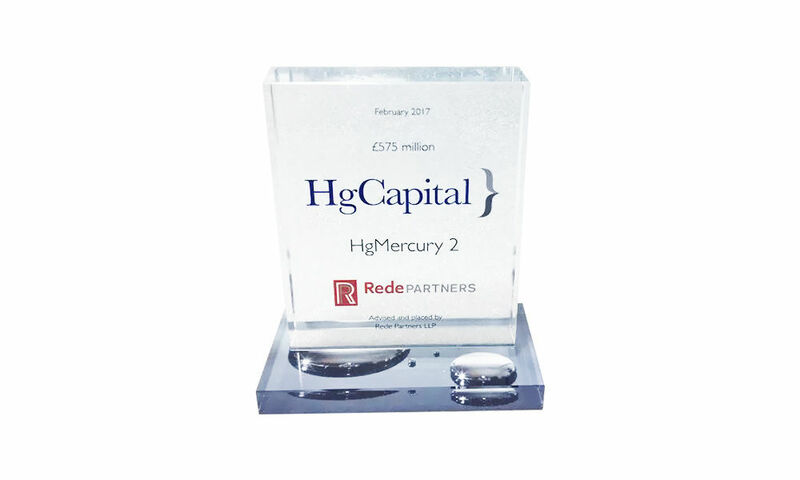 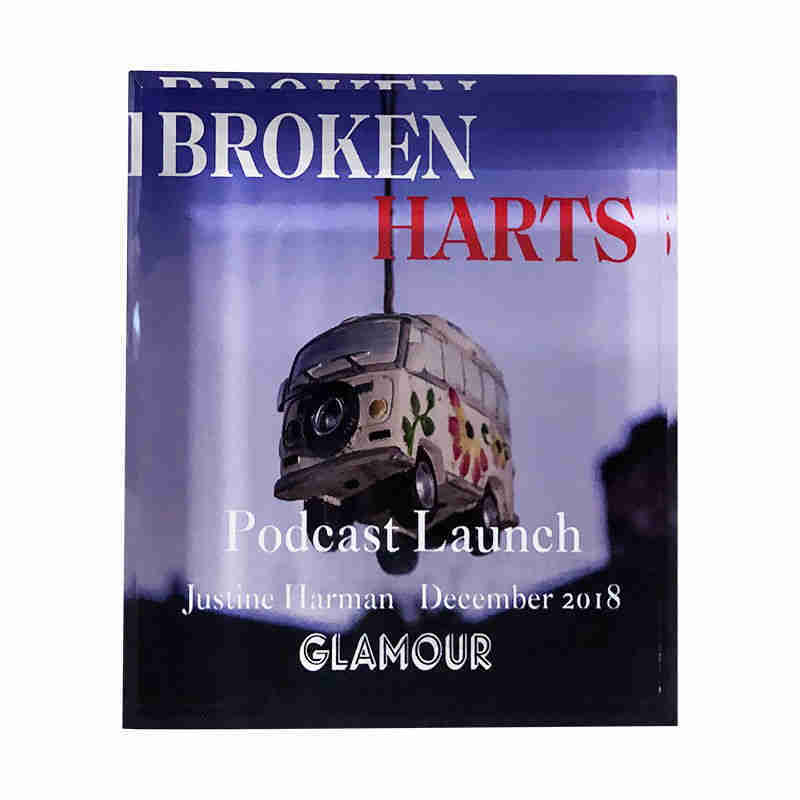 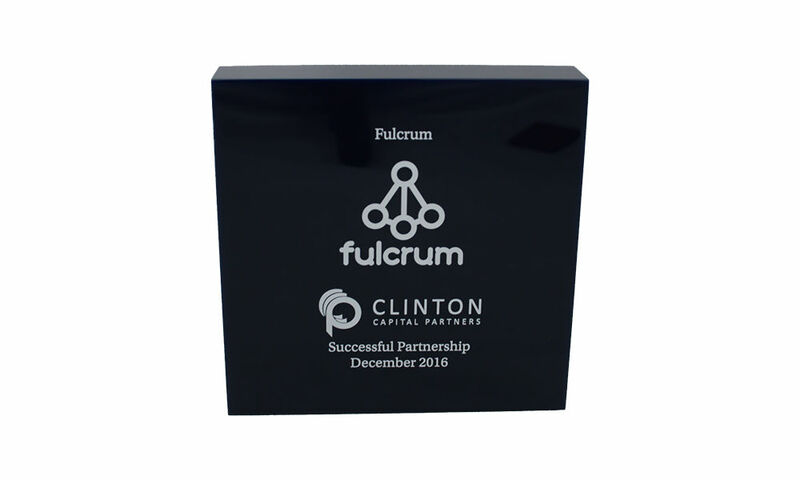 Custom crystal award commemorating the closing of the HgMercury 2 fund, a fund specializing in software and tech-enabled companies in Europe. 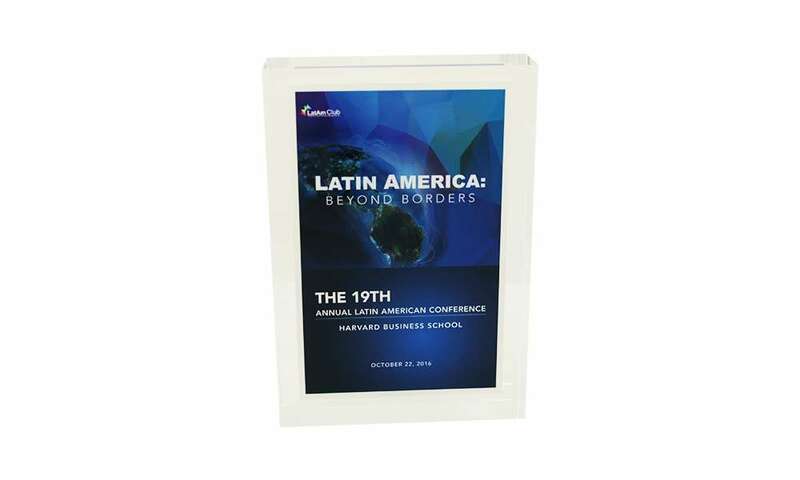 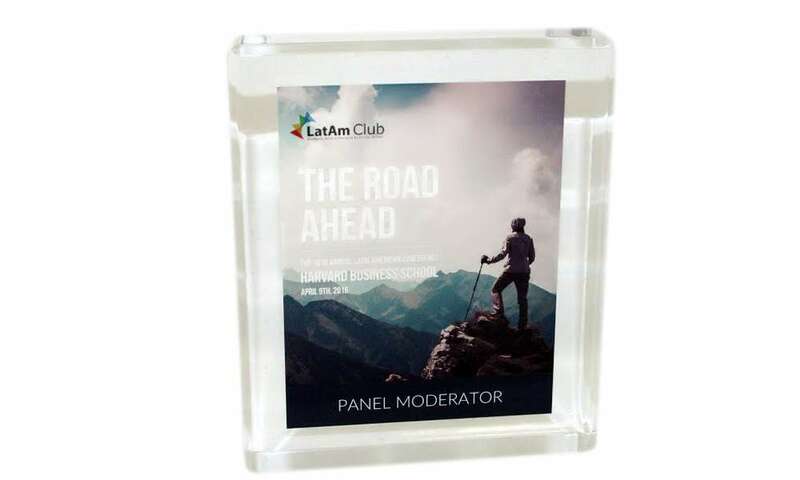 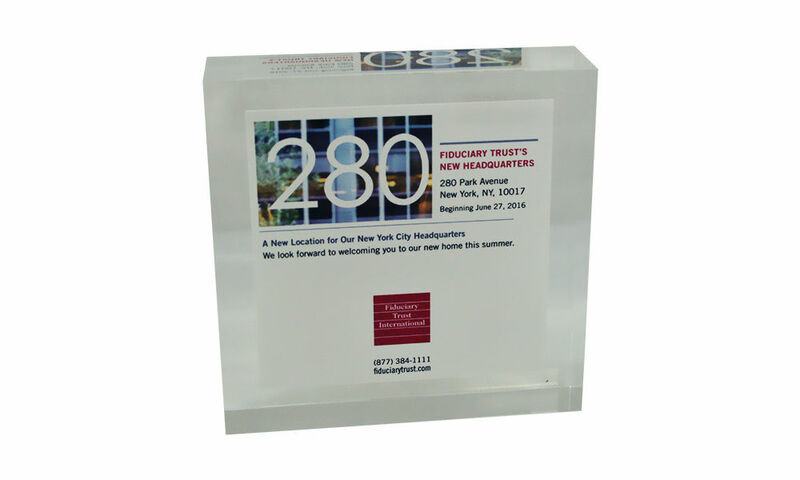 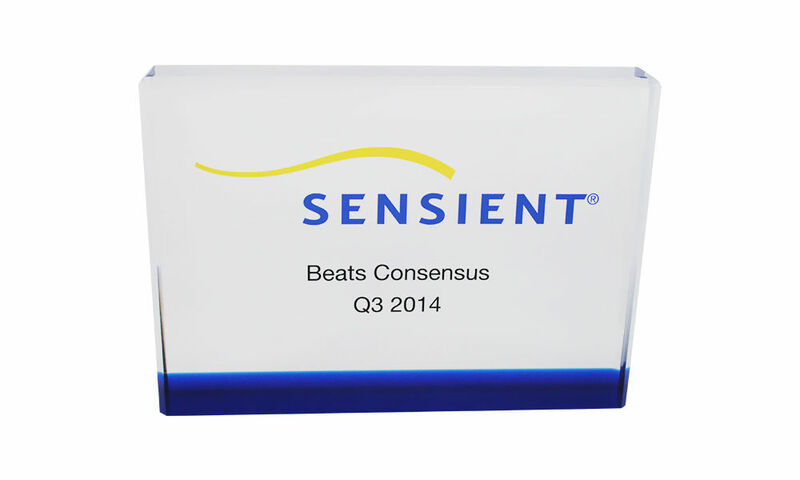 Custom Lucite speaker gift presented at the annual Latin American Conference at Harvard Business School. 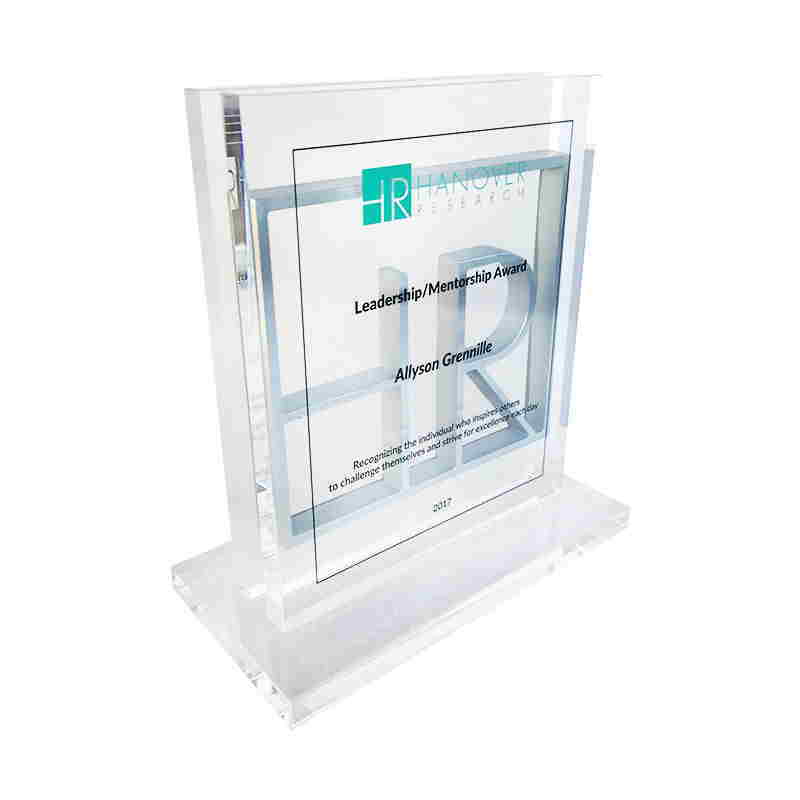 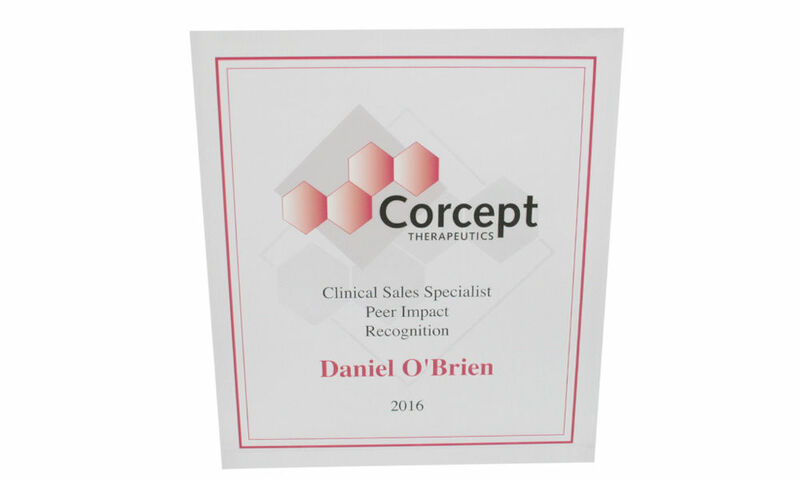 Custom crystal and metal leadership and mentorship award designed for Hanover Research. 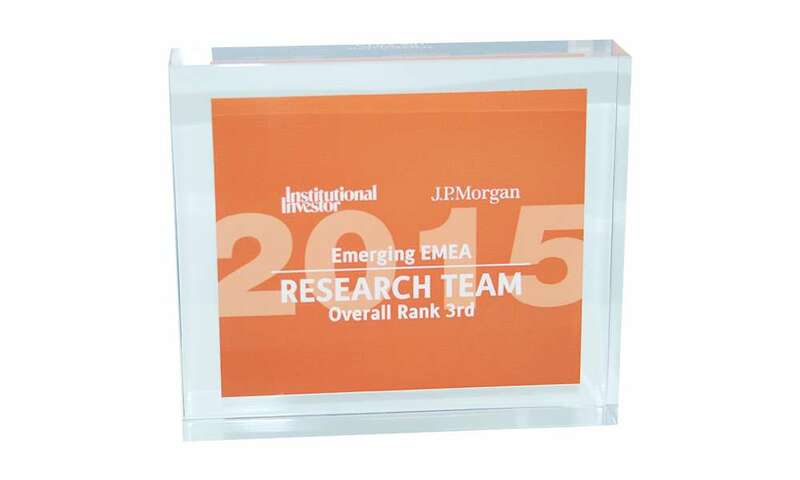 Hanover is a research and analytics firm based in Arlington, Virginia. 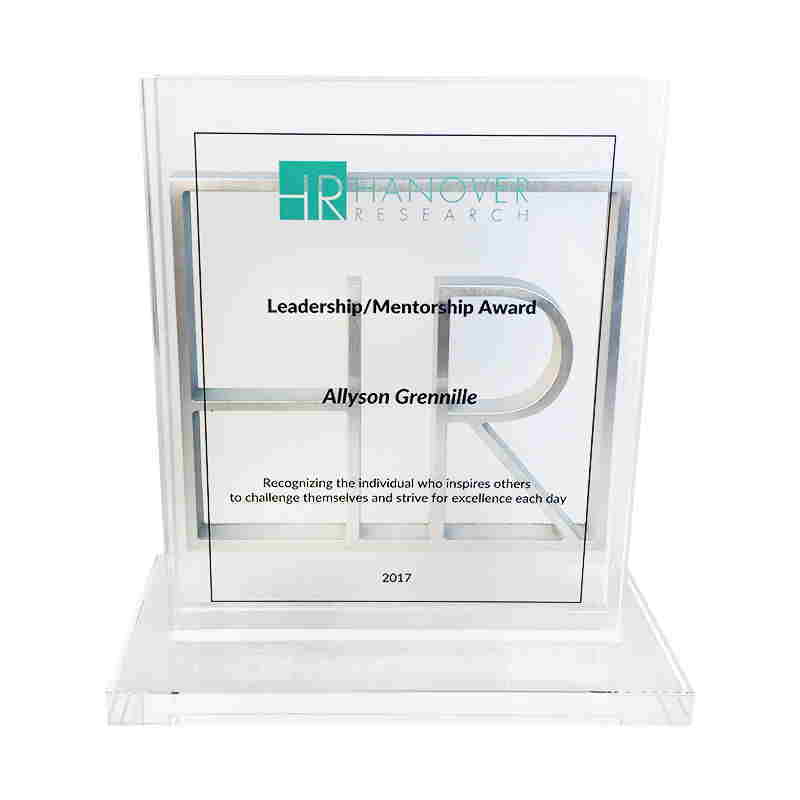 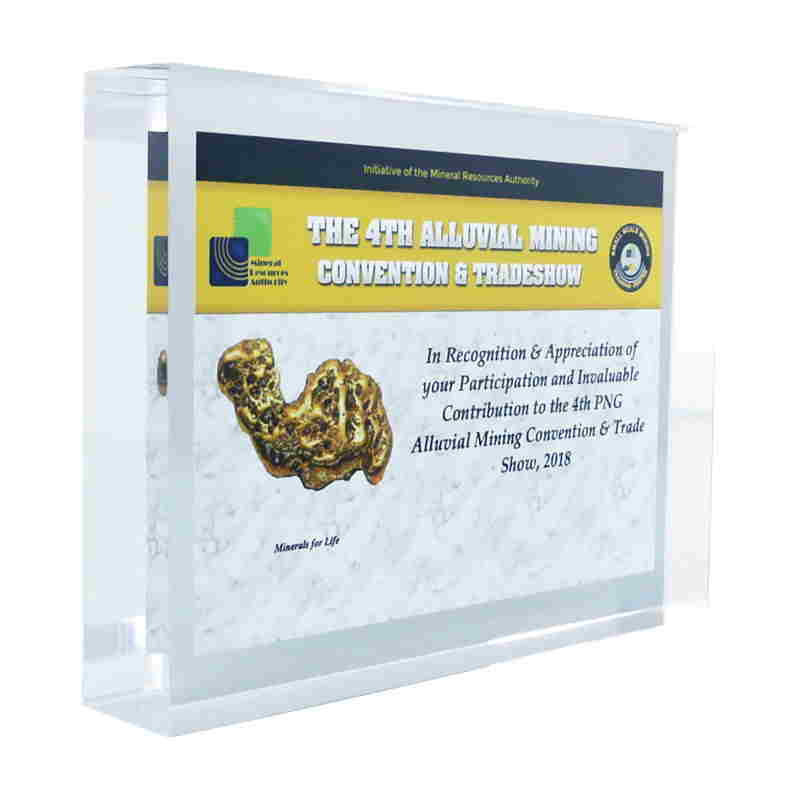 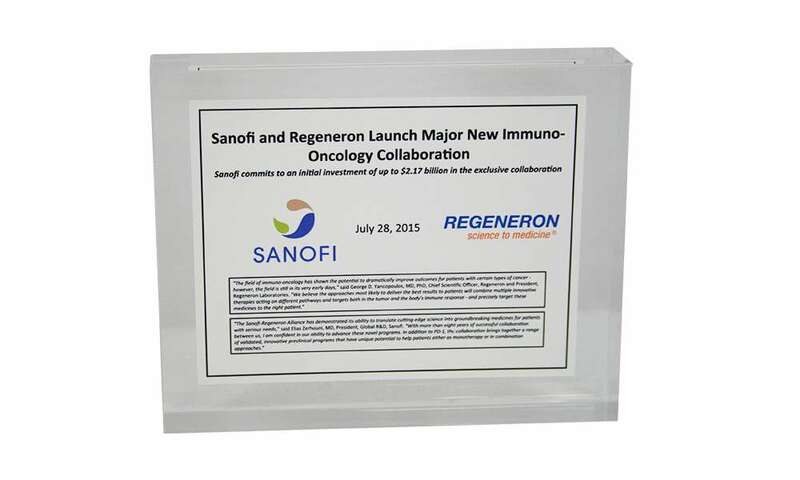 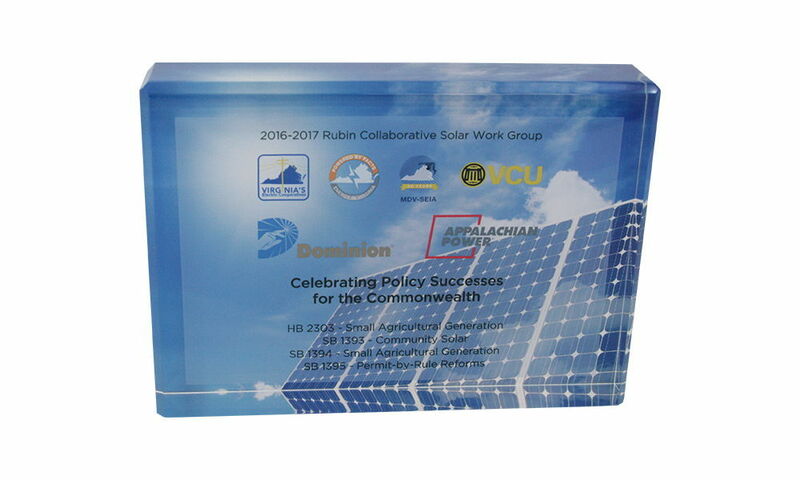 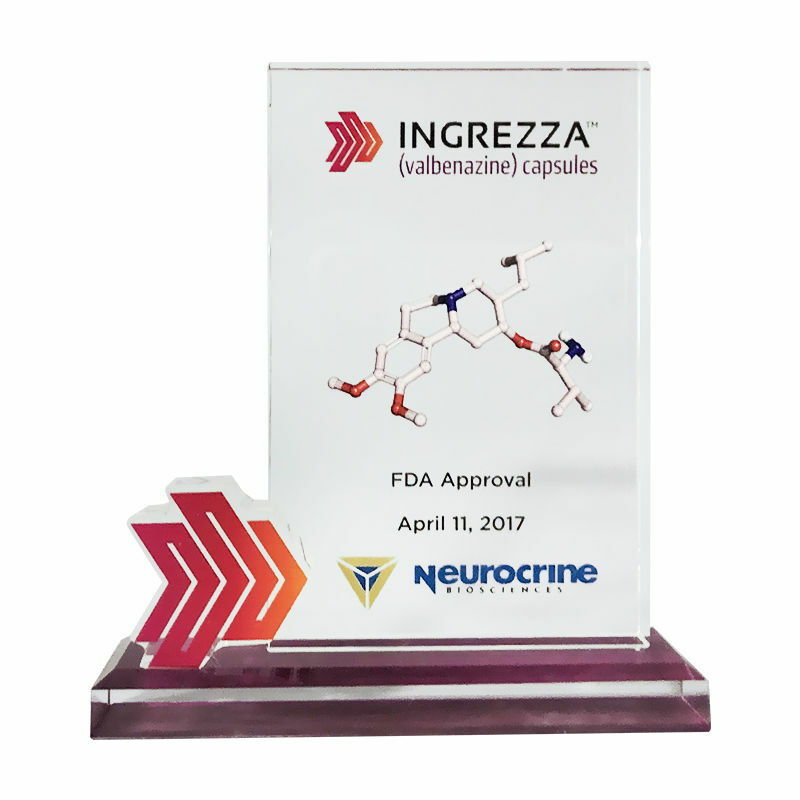 Custom crystal mentorship award presented by Arlington, Virginia-based Hanover Research. 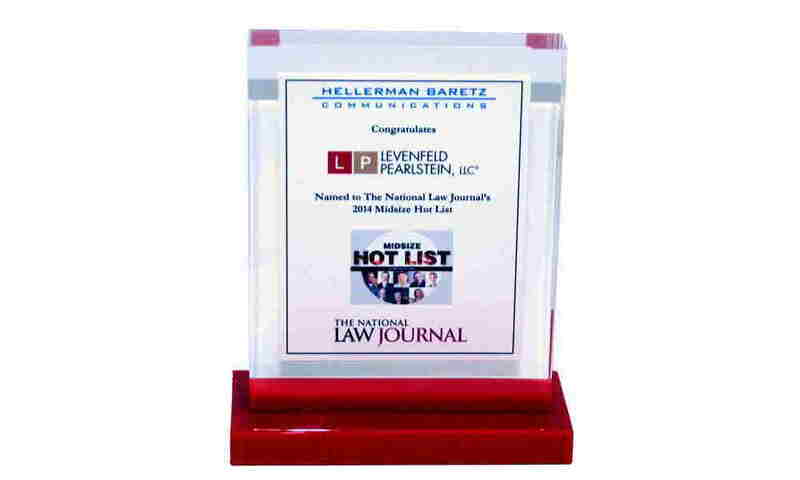 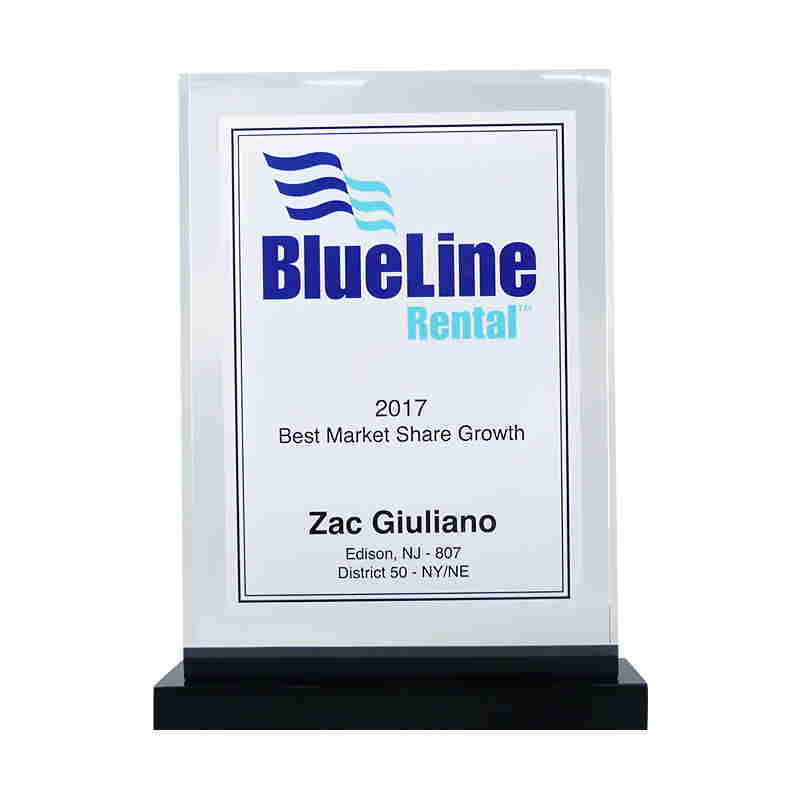 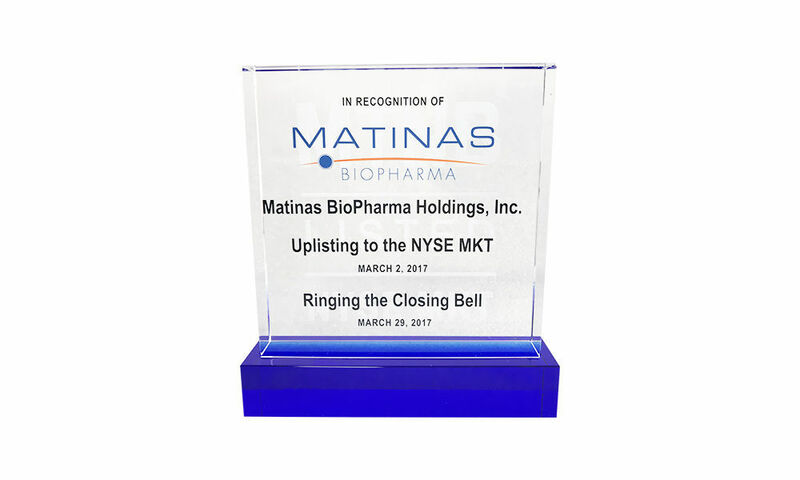 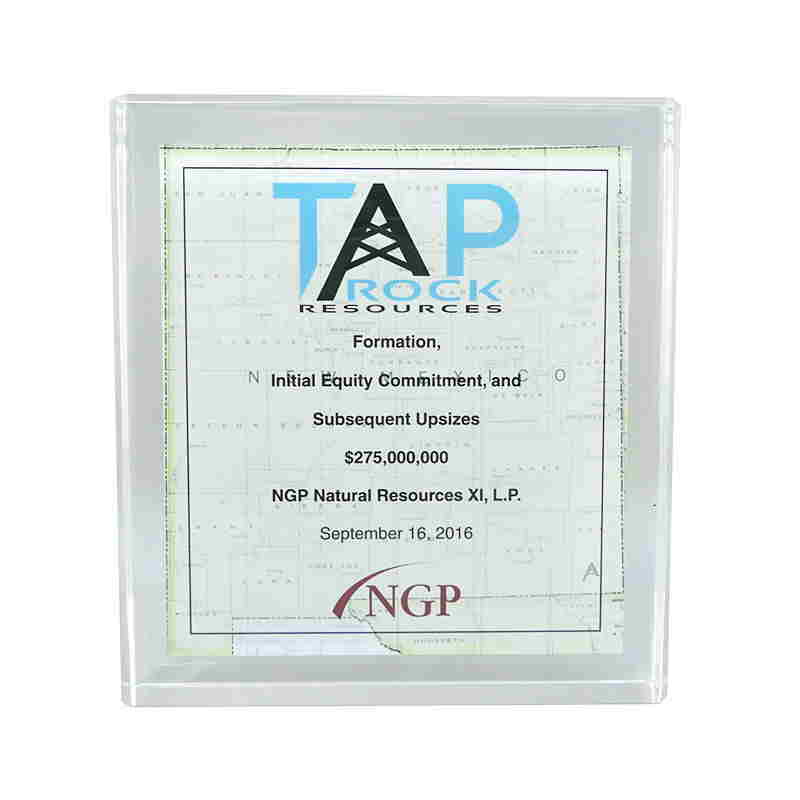 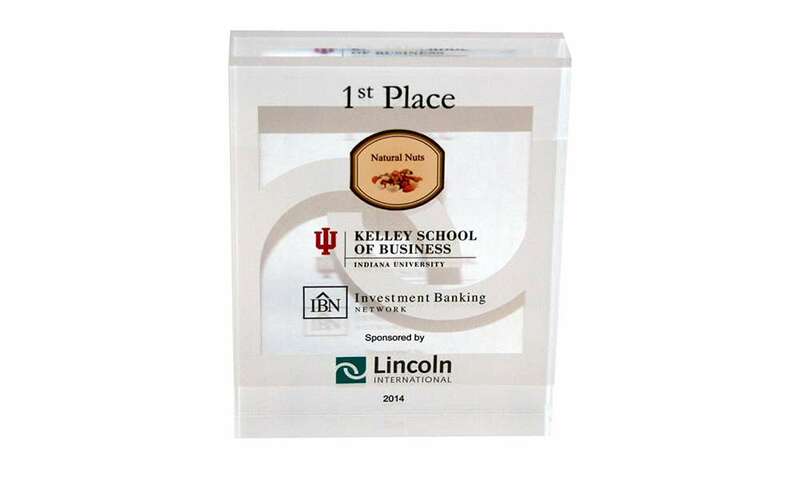 Custom acrylic award presented at the Investment Banking Network presented by the Kelley School of Business at the University of Indiana. 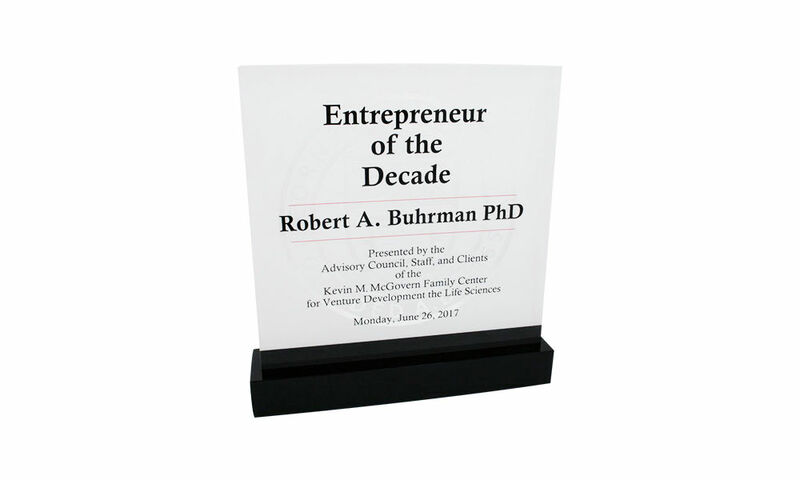 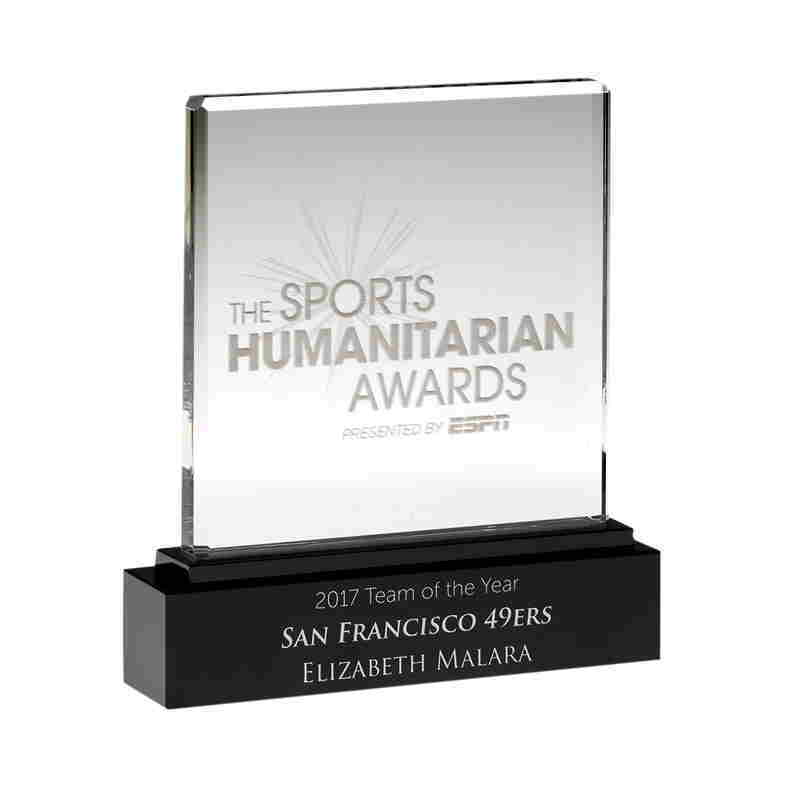 Custom crystal award presented by the McGovern center, a part of Cornell University, to recognize entrepreneurial achievement in the life sciences and biotech fields. 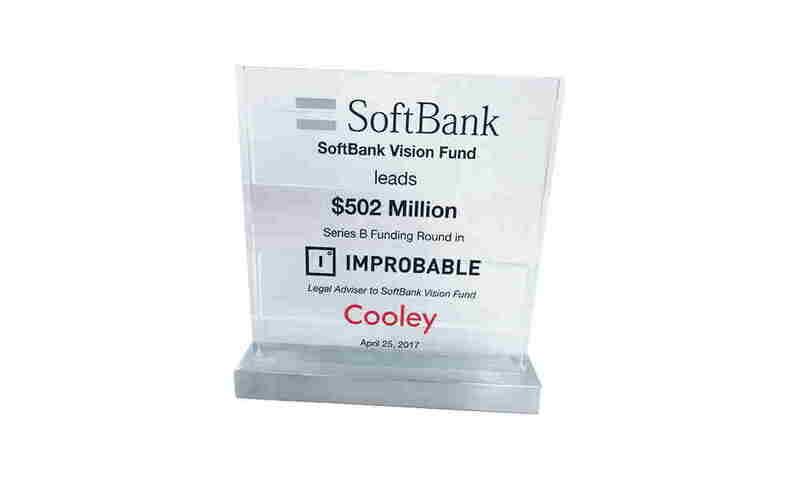 Crystal deal tombstone marking SoftBank's Series B investment in London-based Improbable. 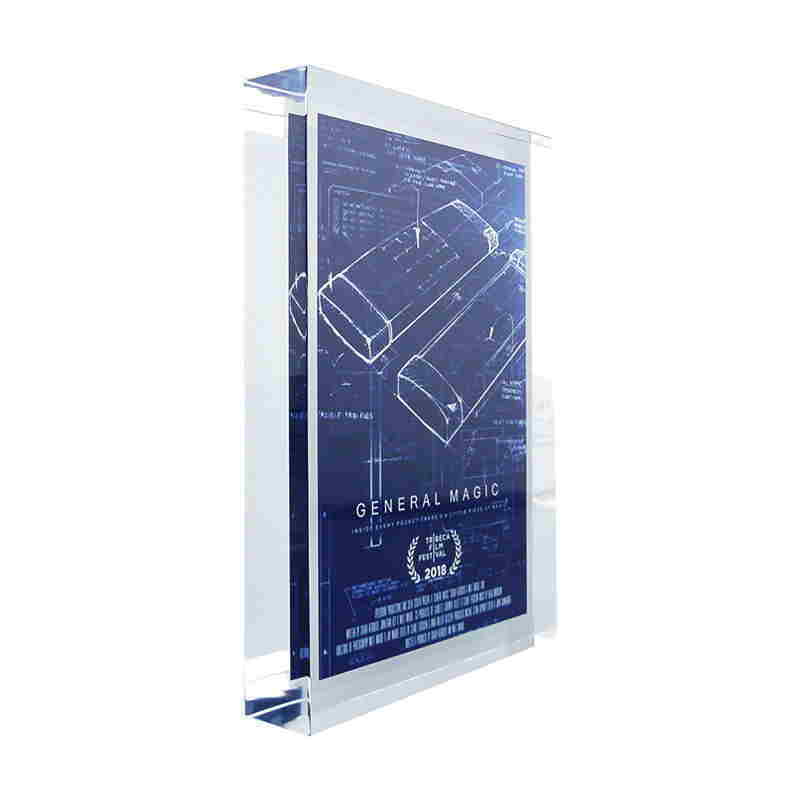 Improbable's technology enables the creation of simulations at scale, or "virtual worlds". 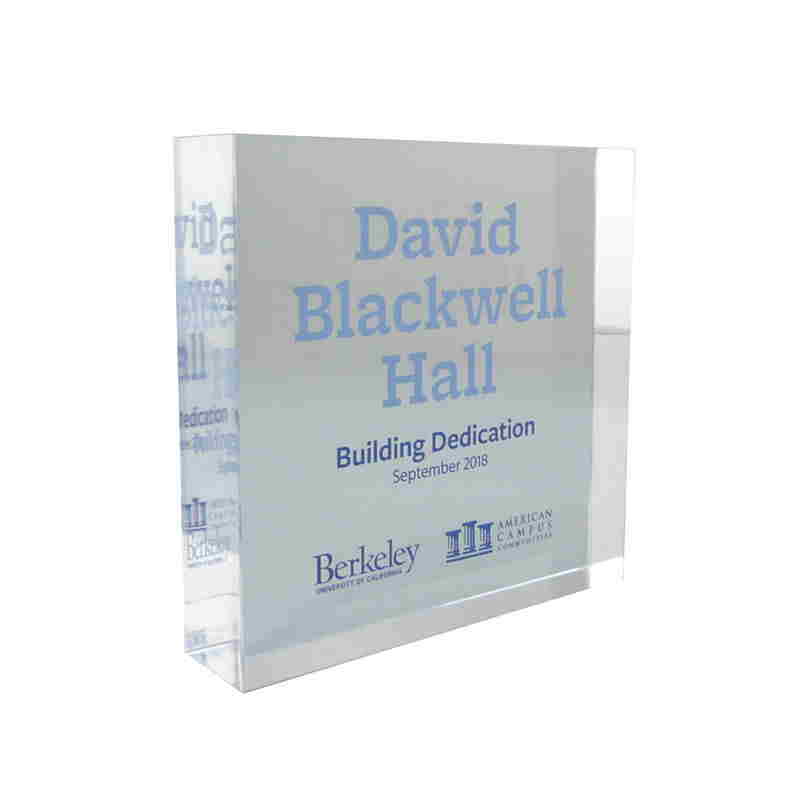 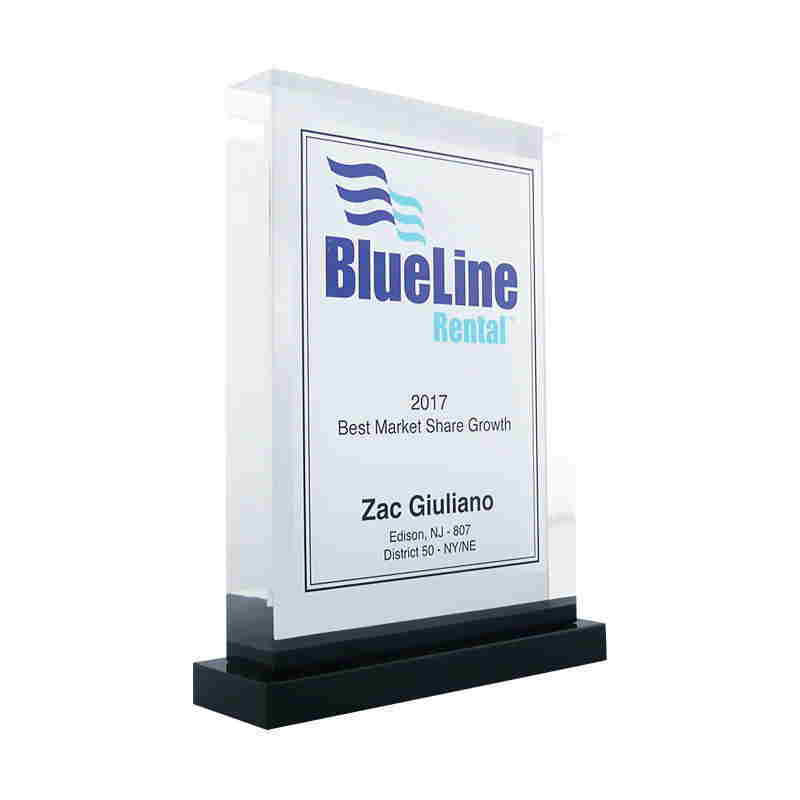 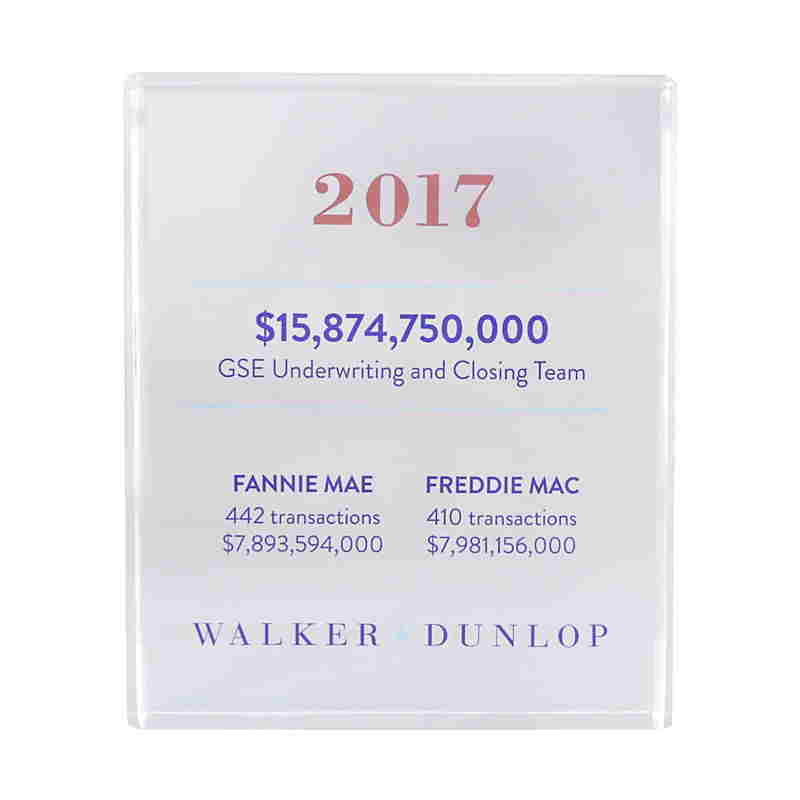 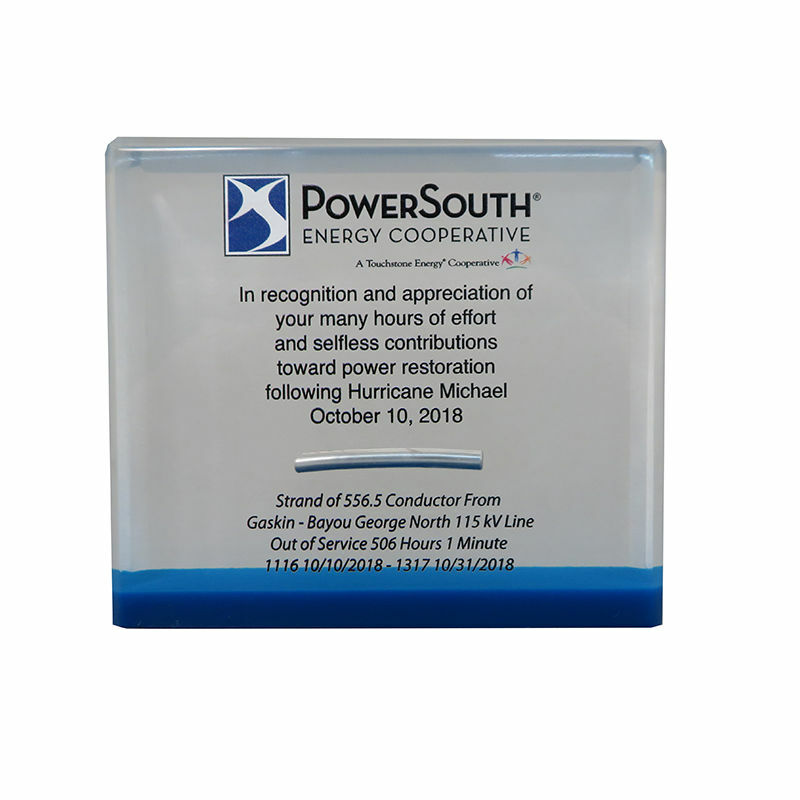 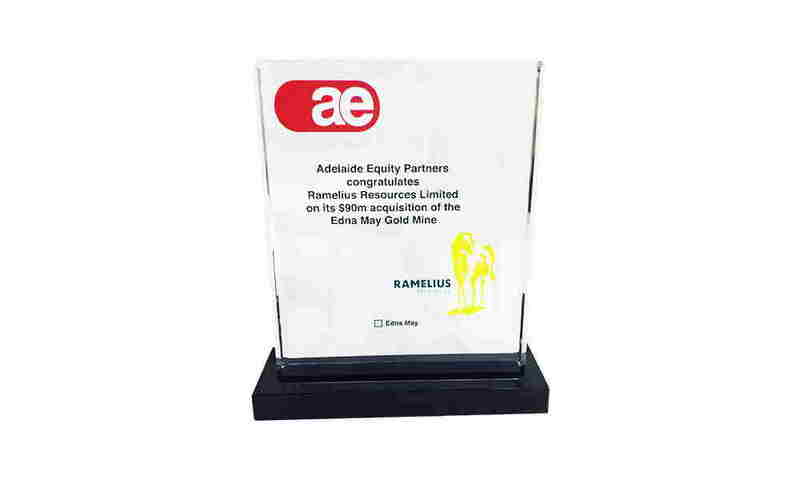 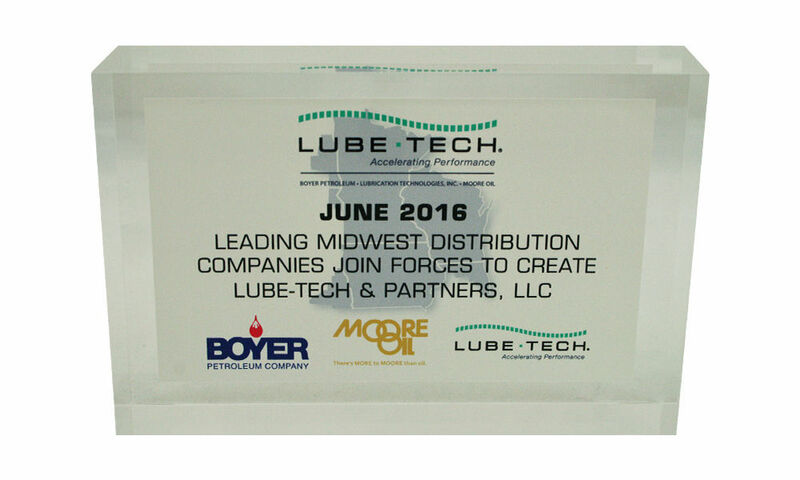 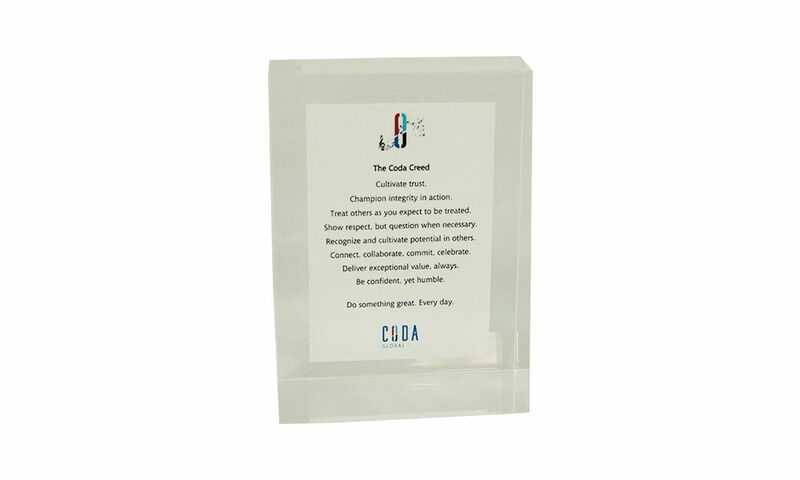 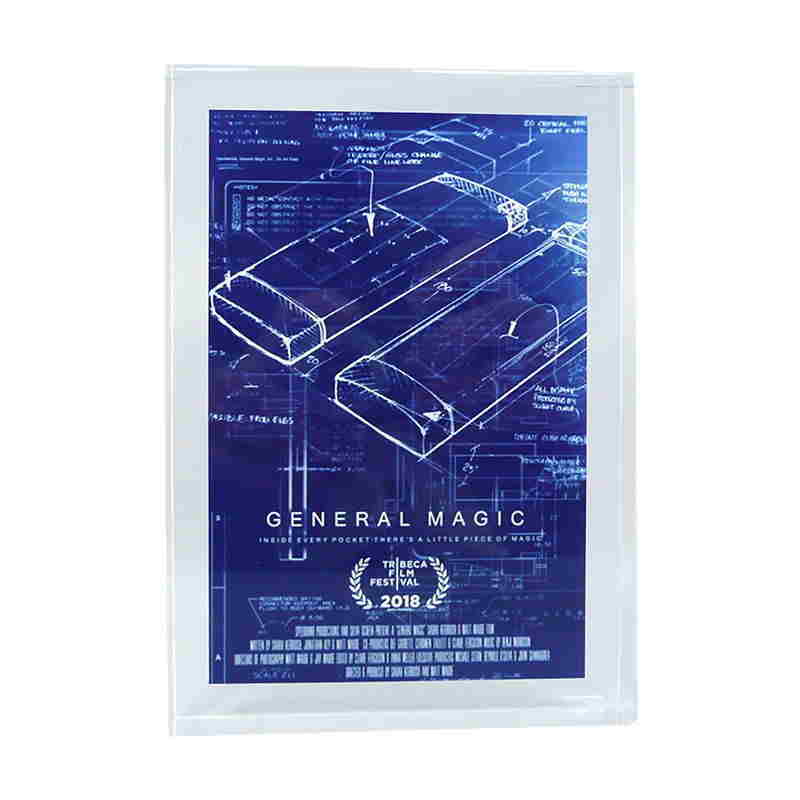 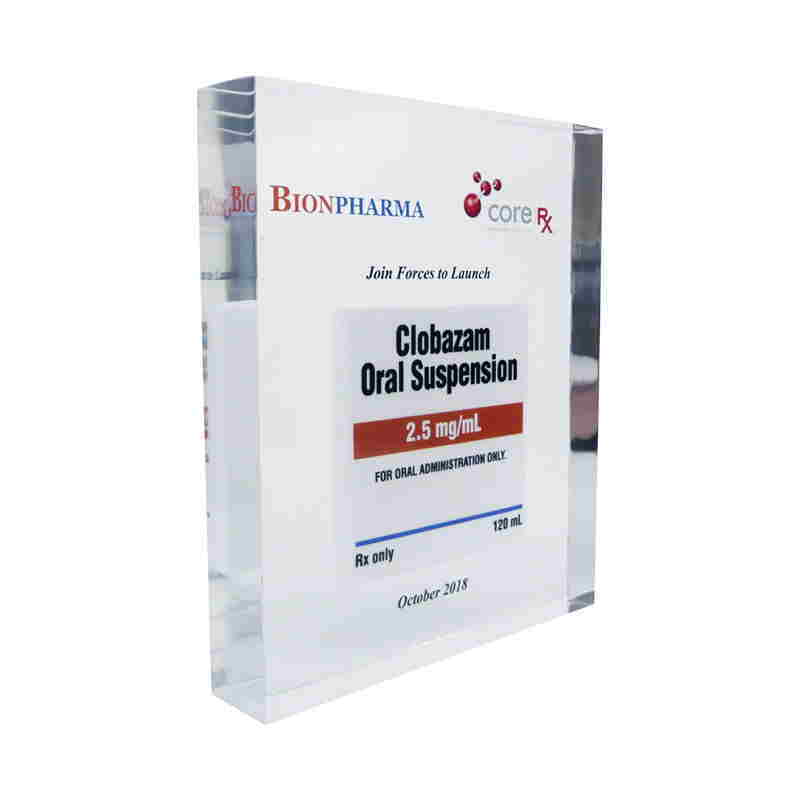 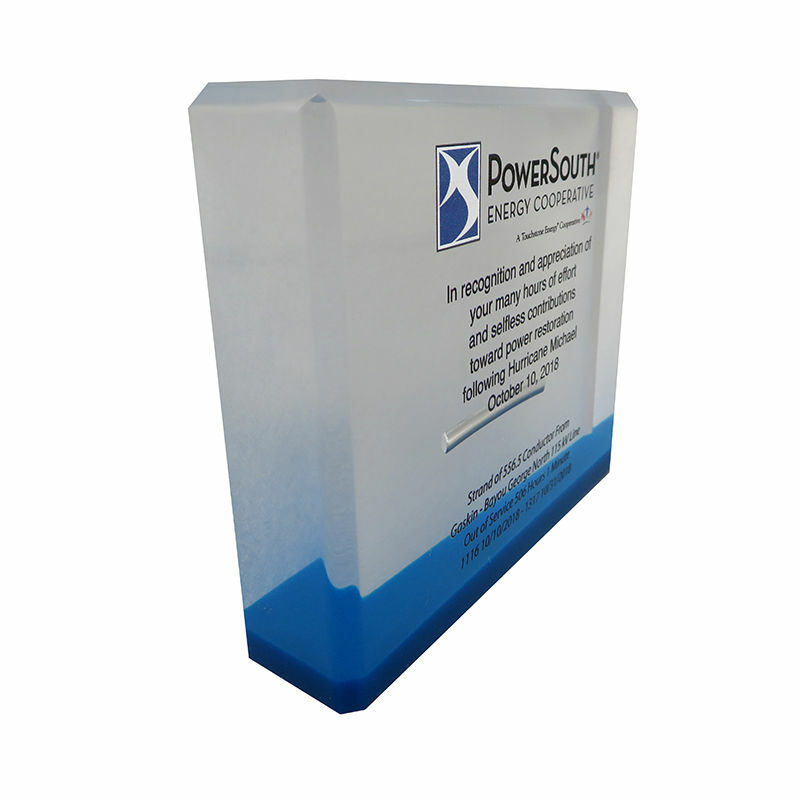 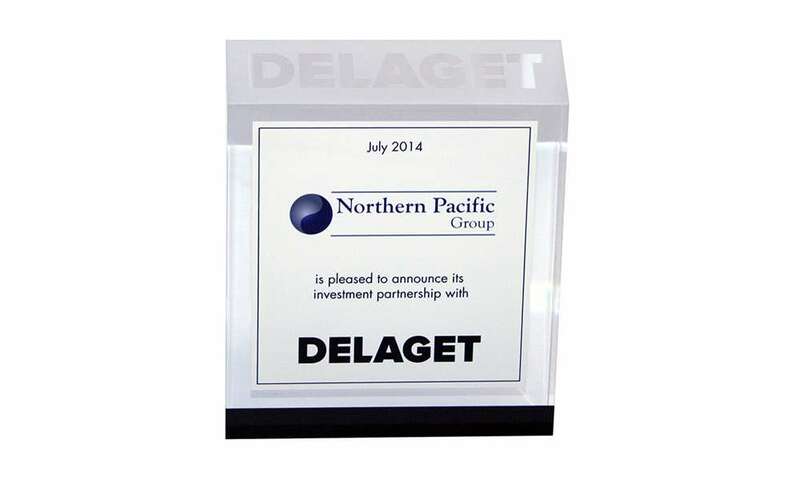 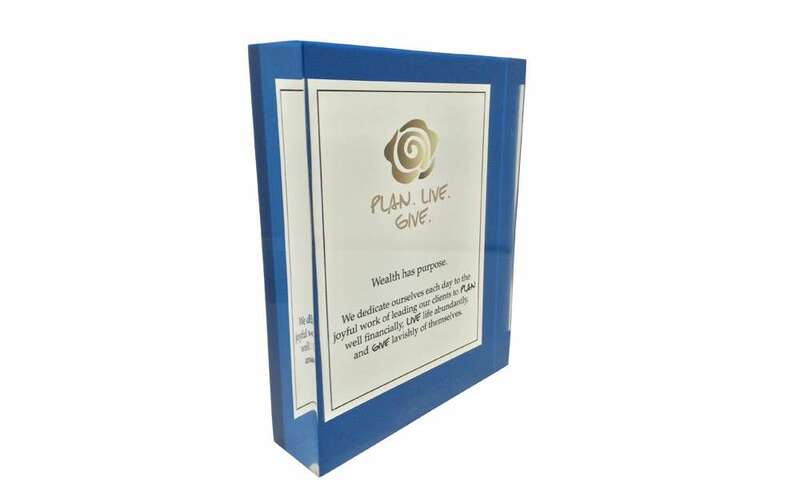 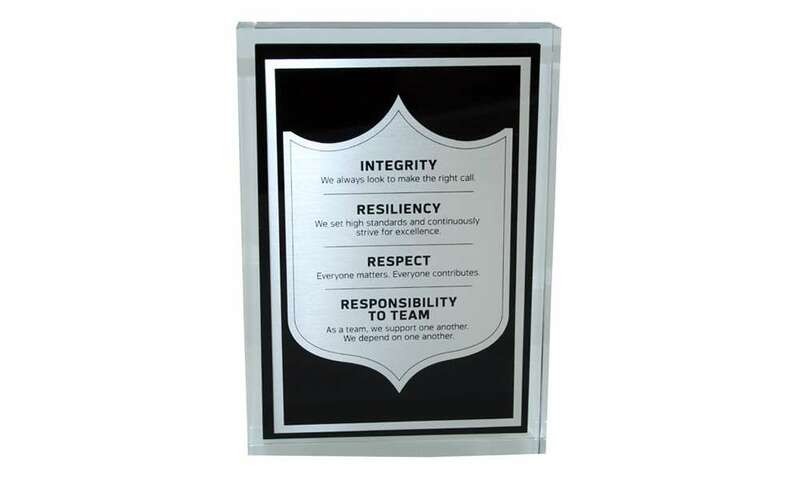 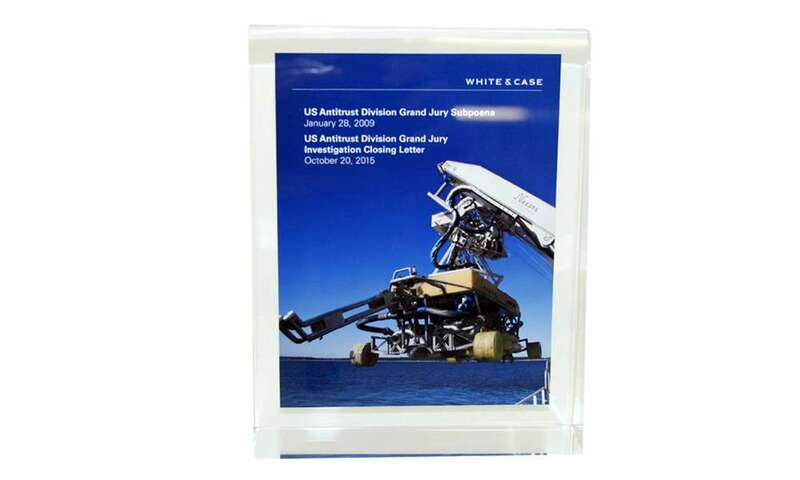 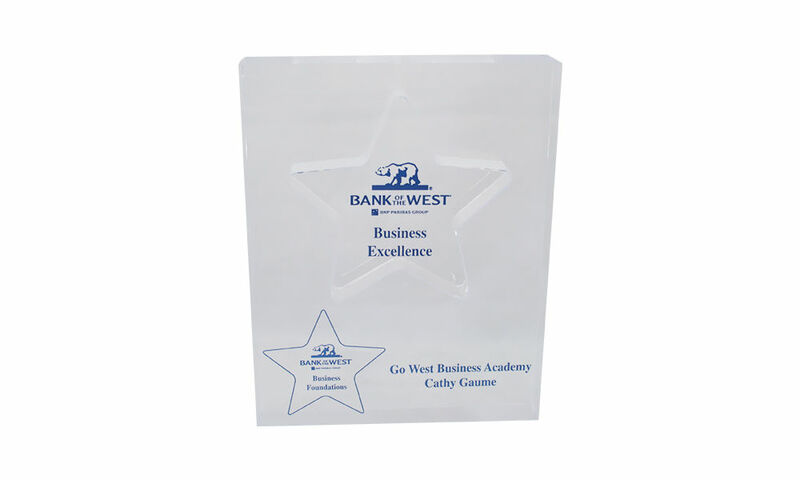 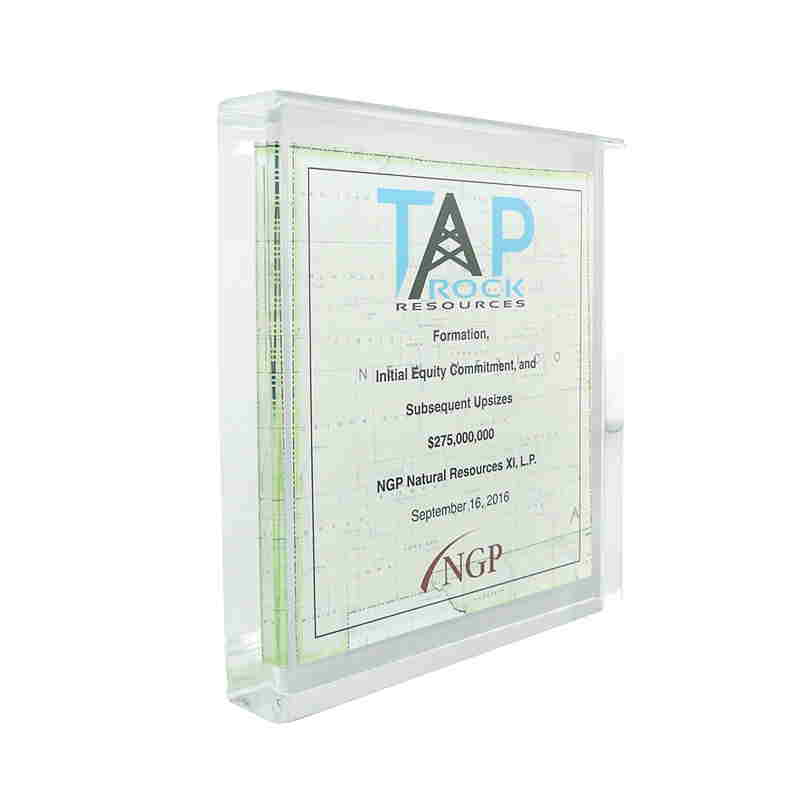 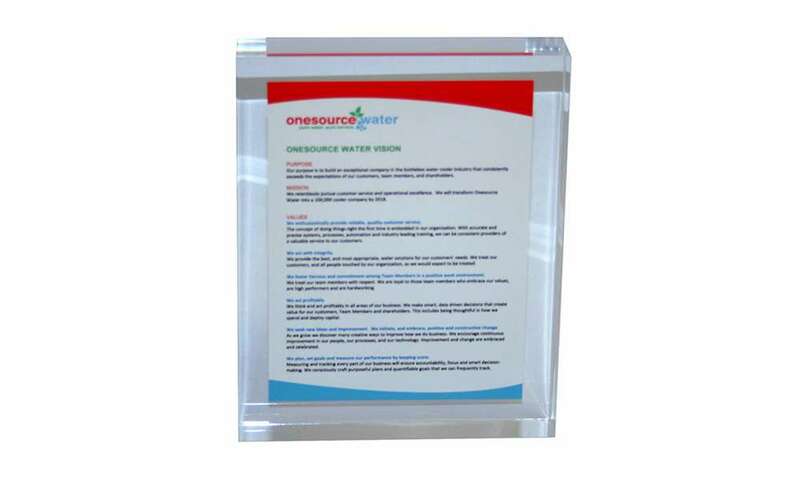 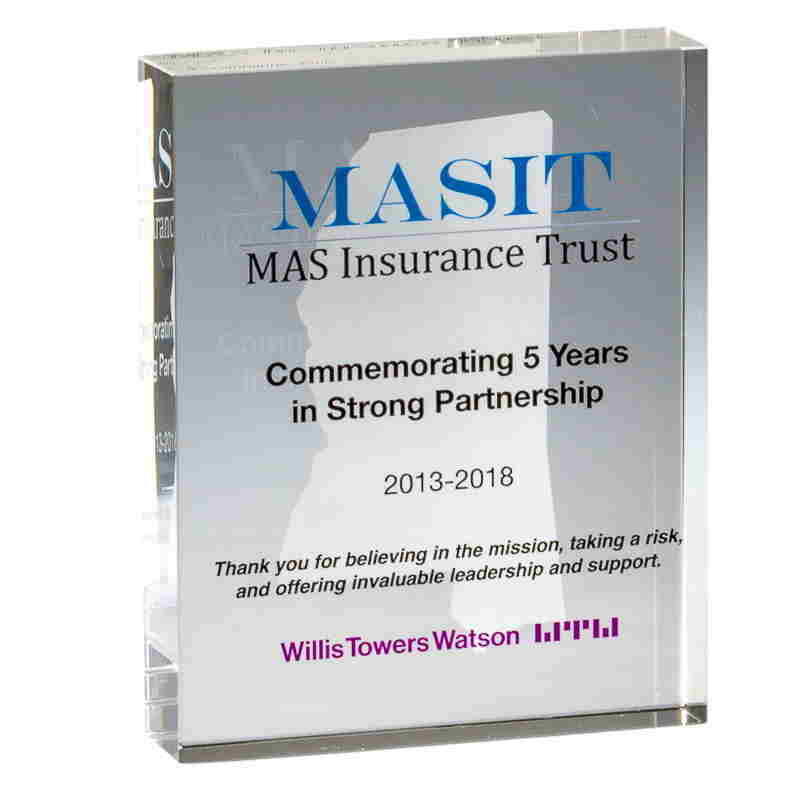 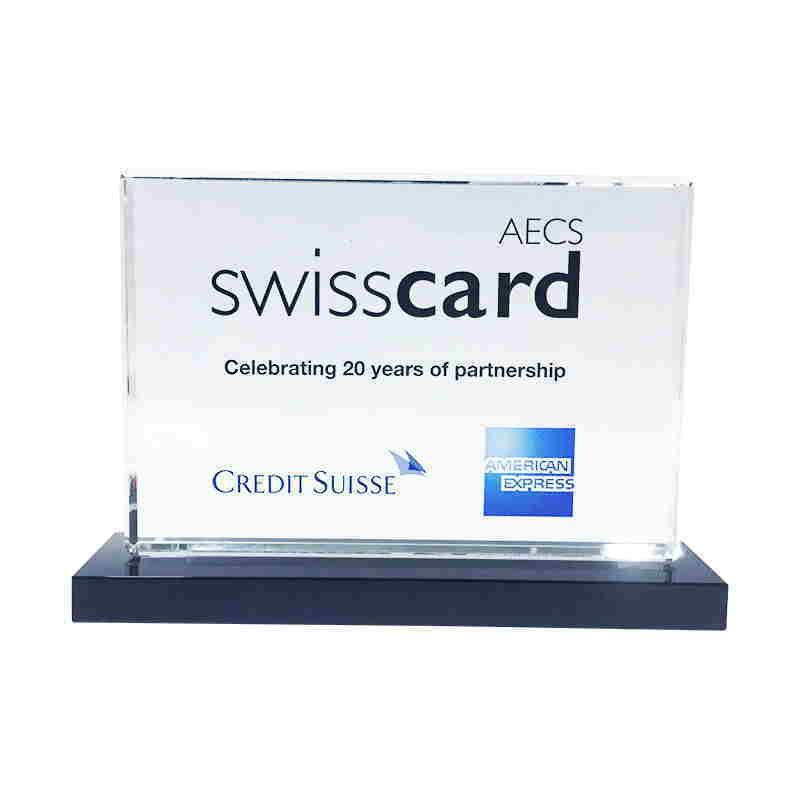 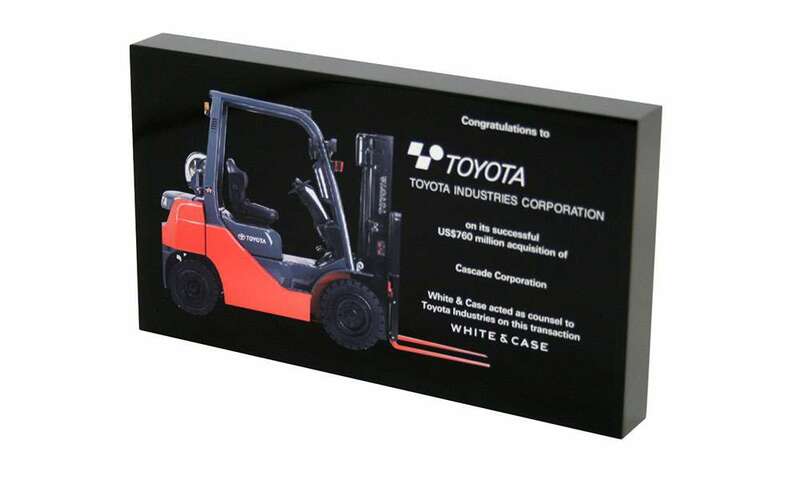 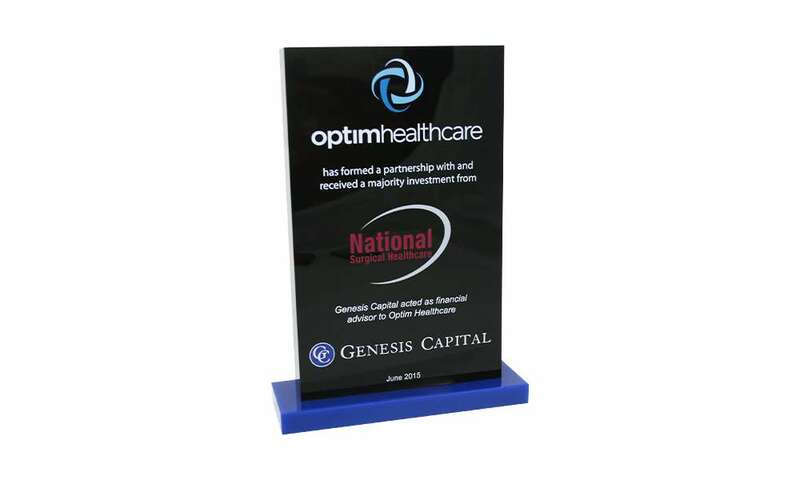 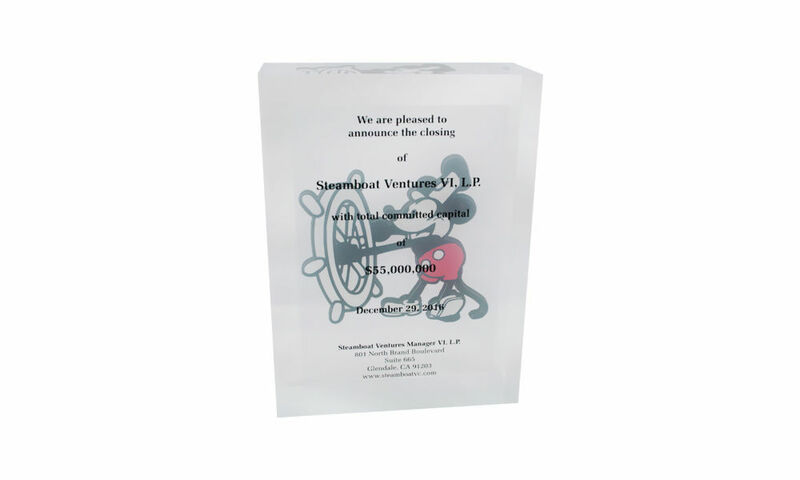 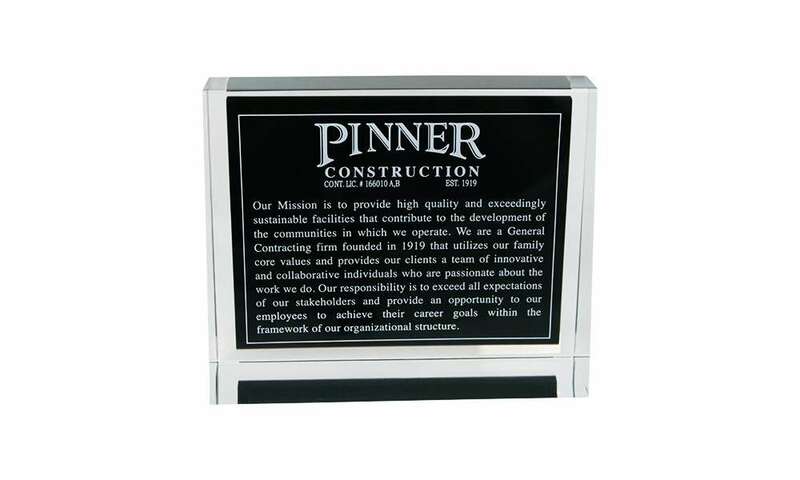 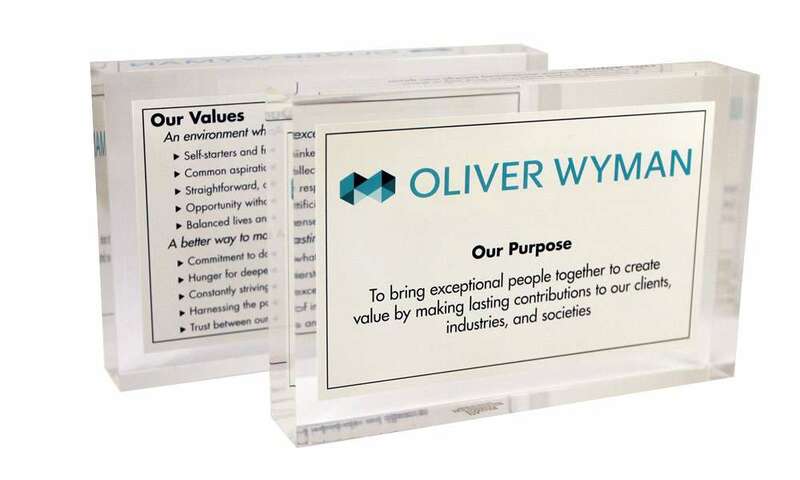 Custom acrylic award honoring completion of an employee training program at Bank of the West. 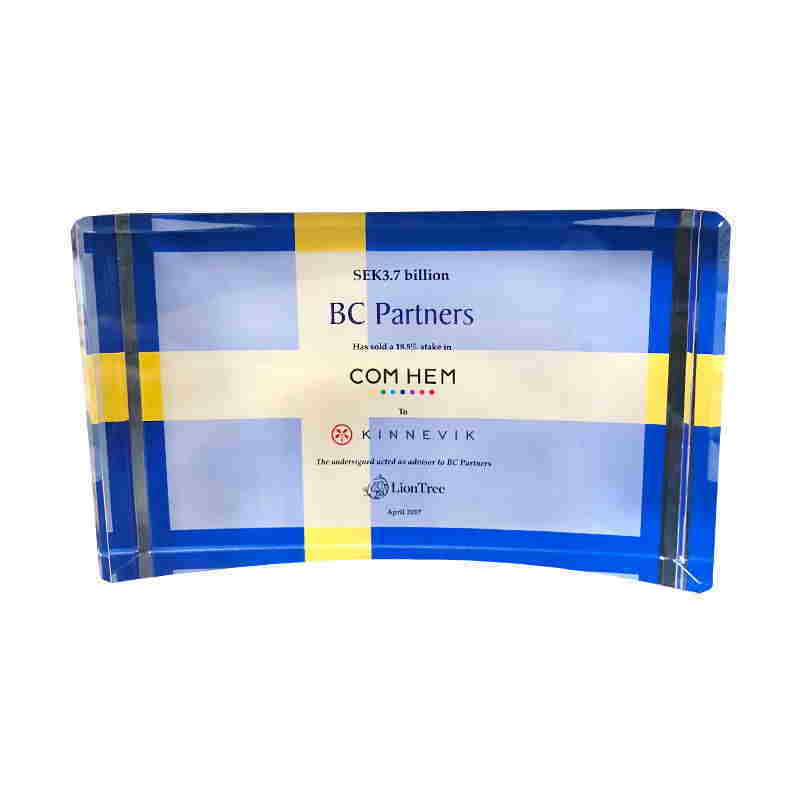 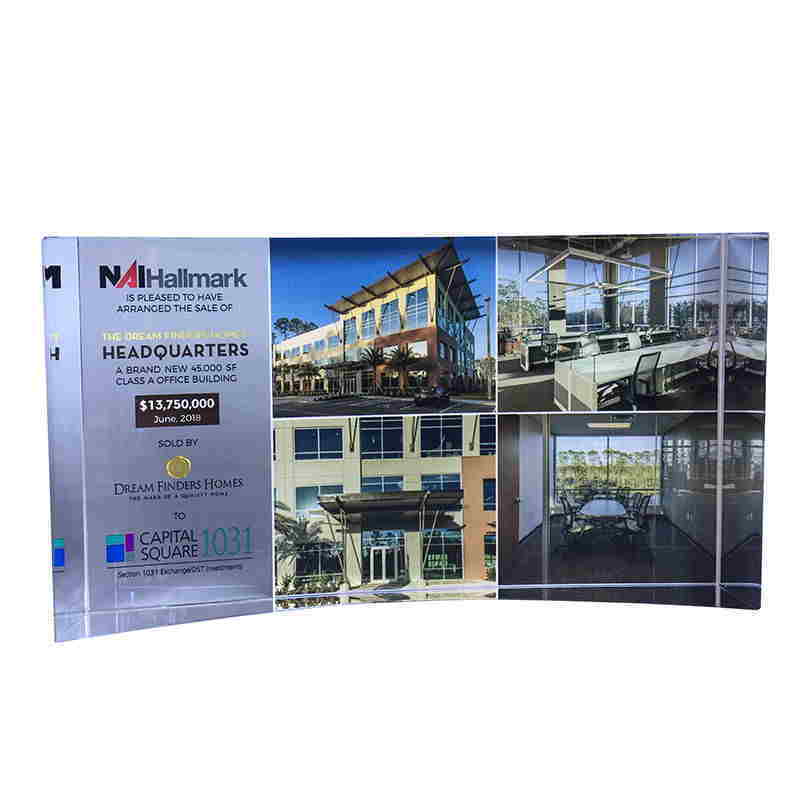 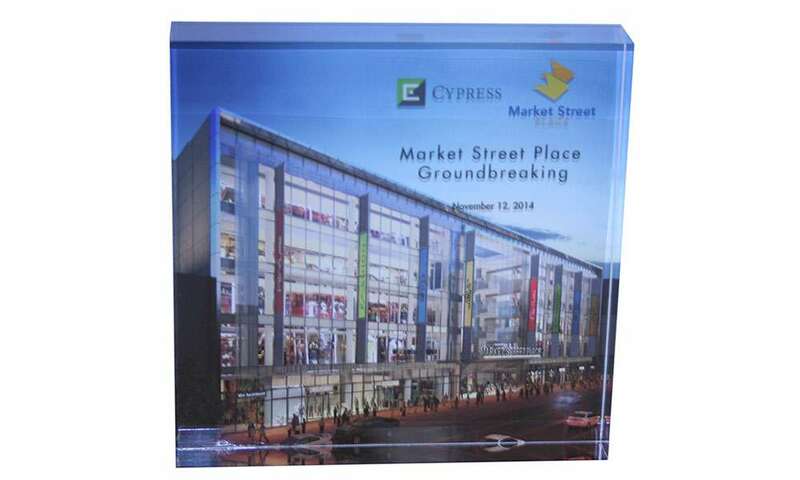 The financial services company is headquartered in San Francisco. 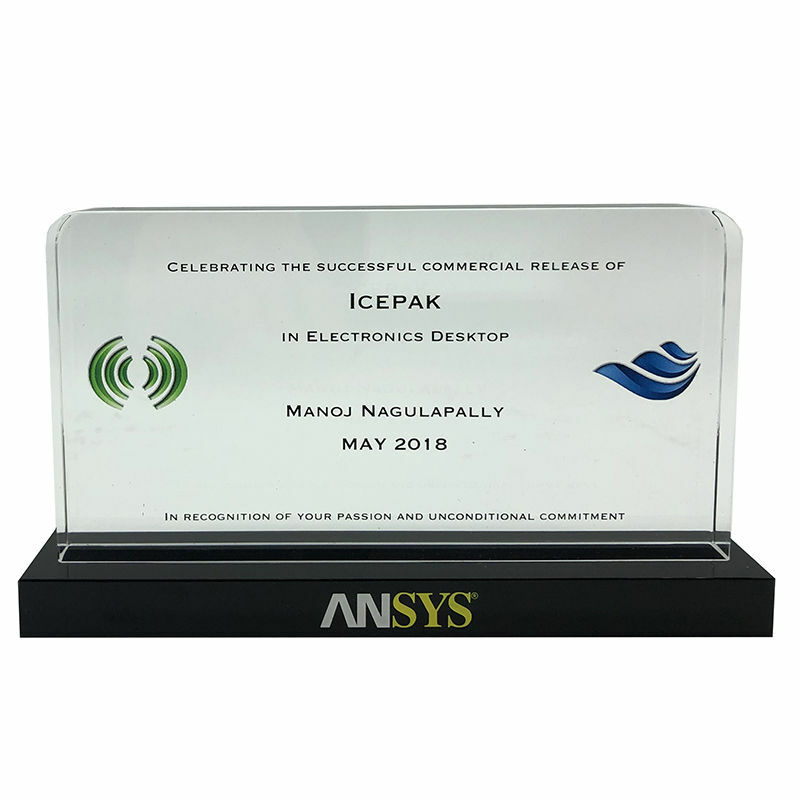 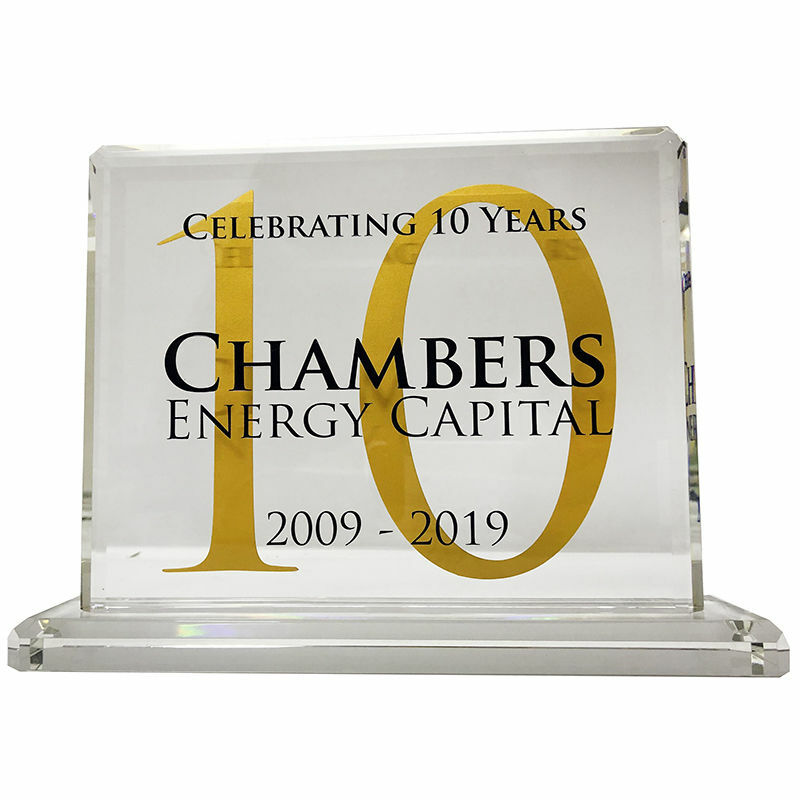 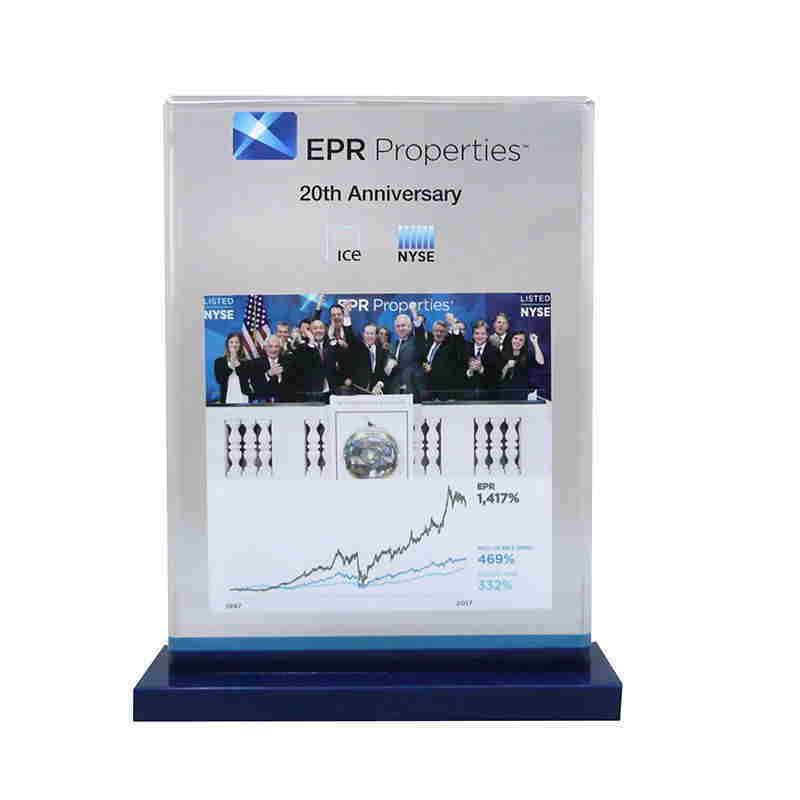 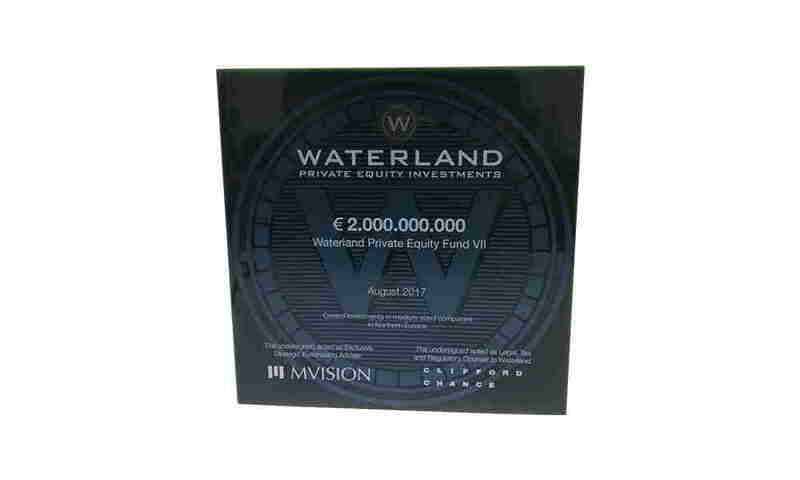 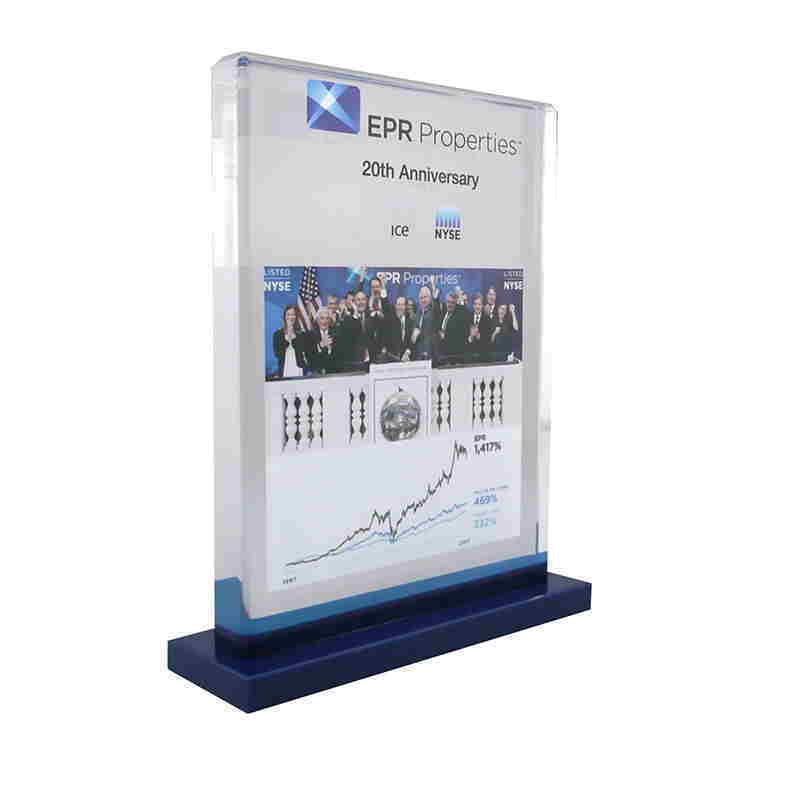 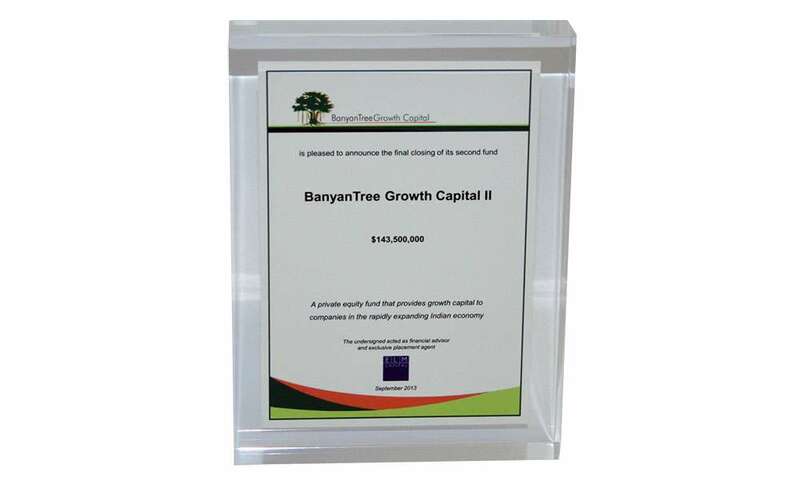 Custom Lucite celebrating the launch of a fund sponsored by BanyanTree Capital Advisors, and specializing in small and mid-market Indian companies. 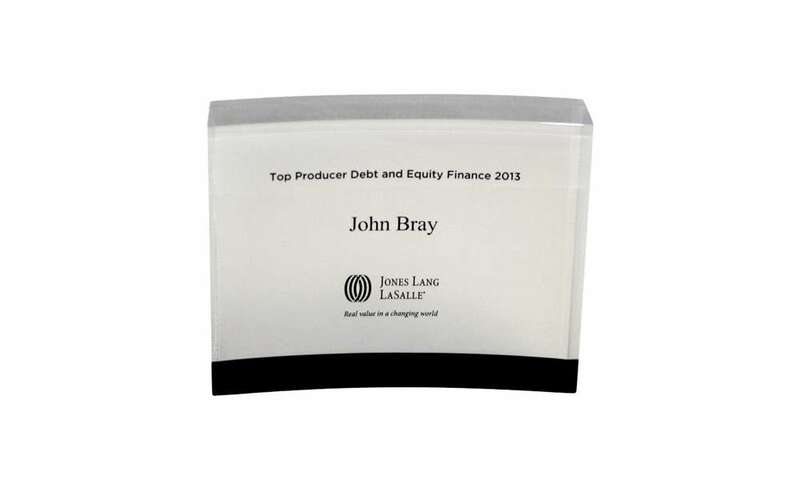 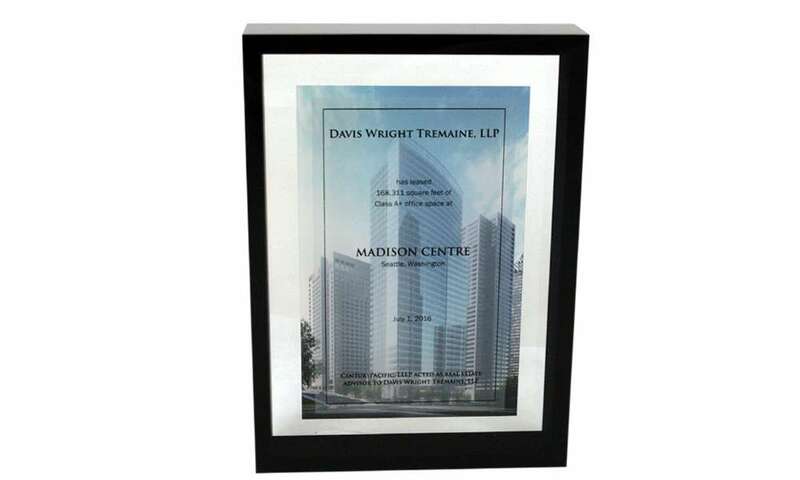 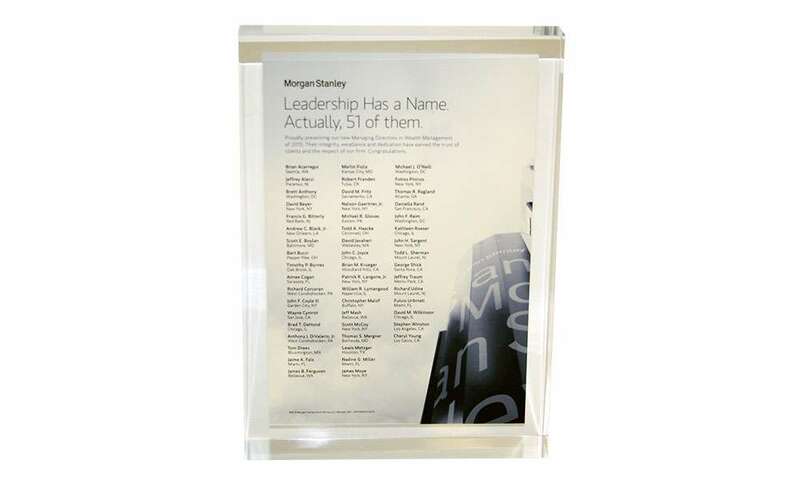 Custom Lucite recognizing promotions to Managing Director level at Morgan Stanley.